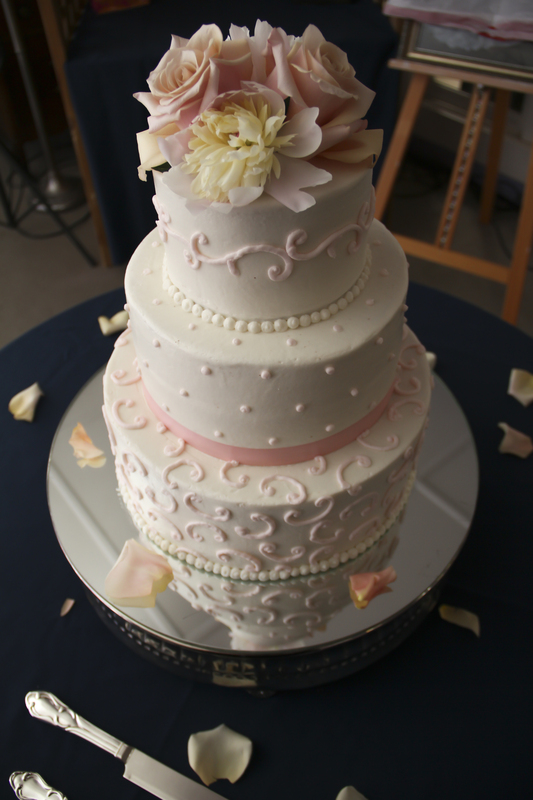 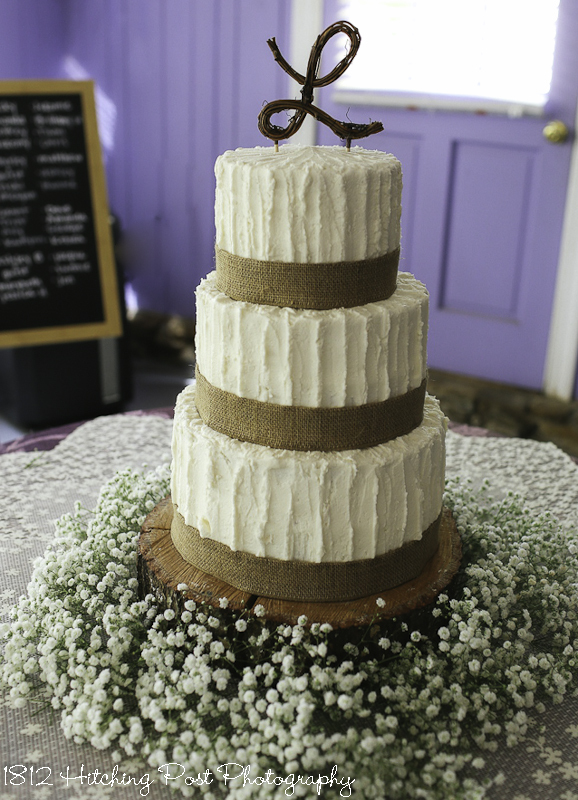 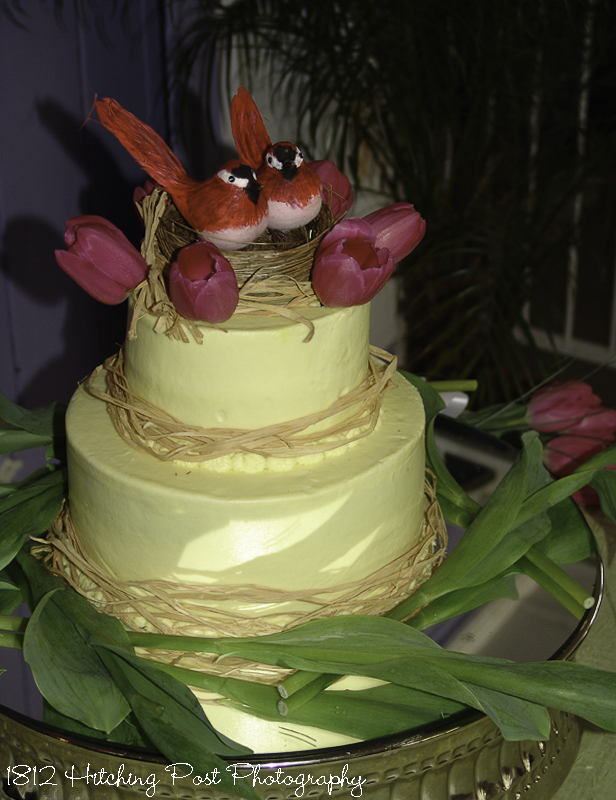 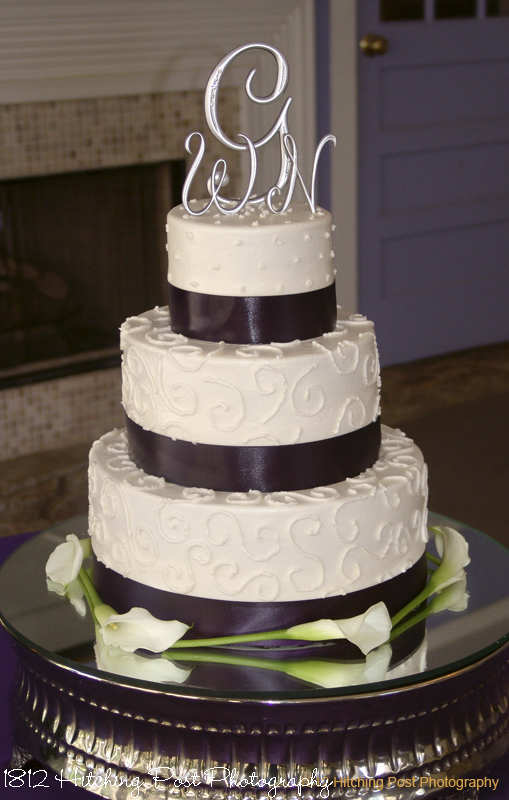 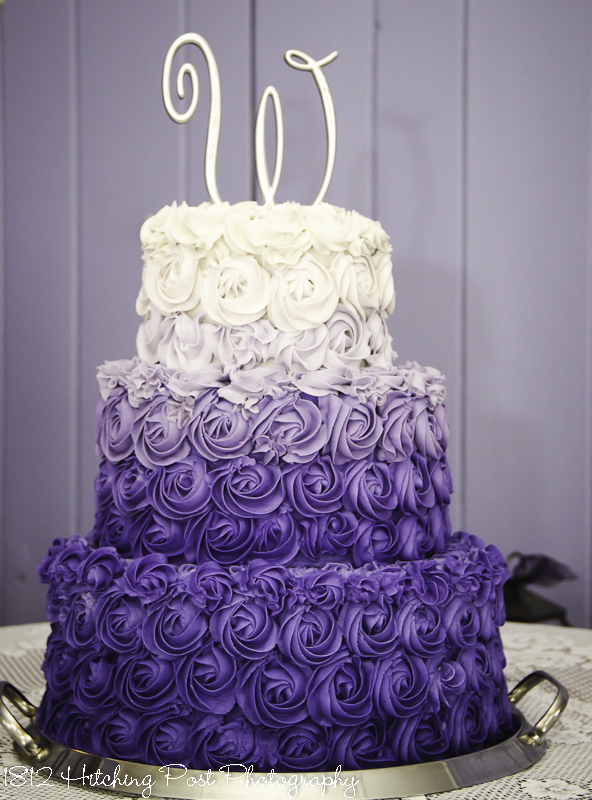 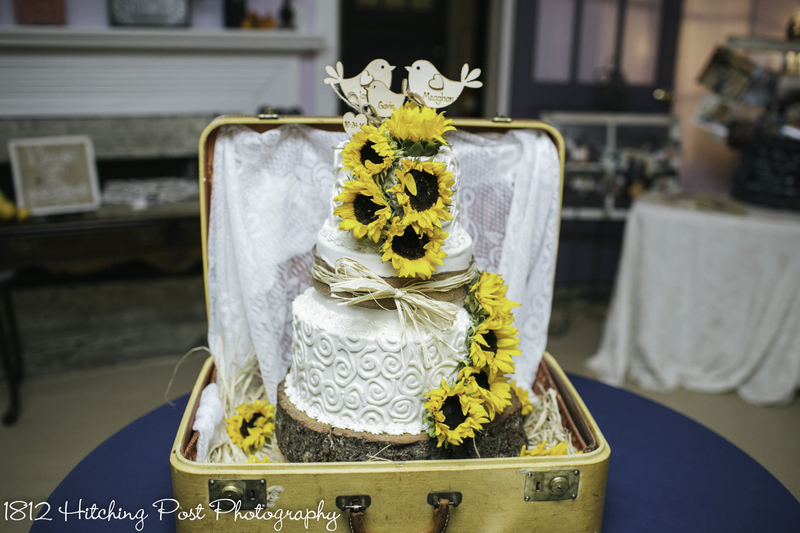 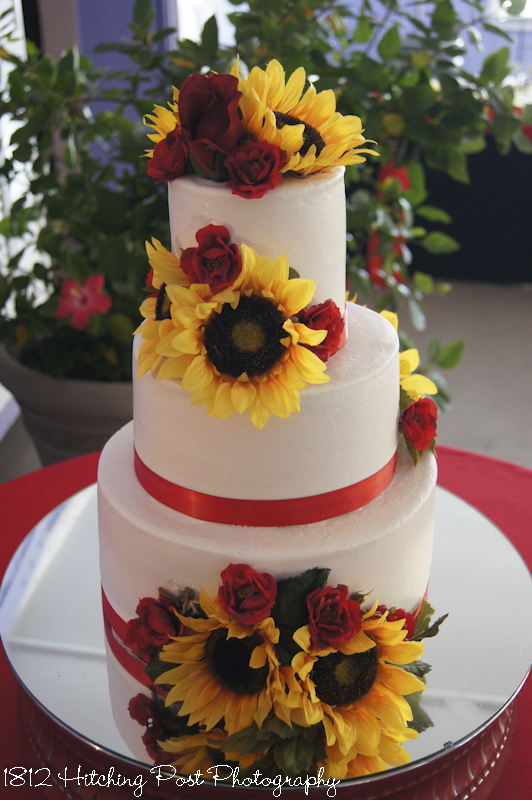 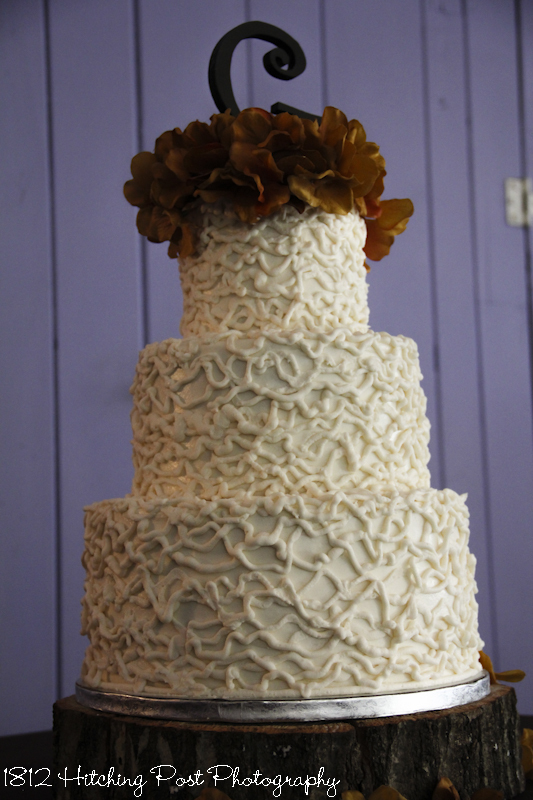 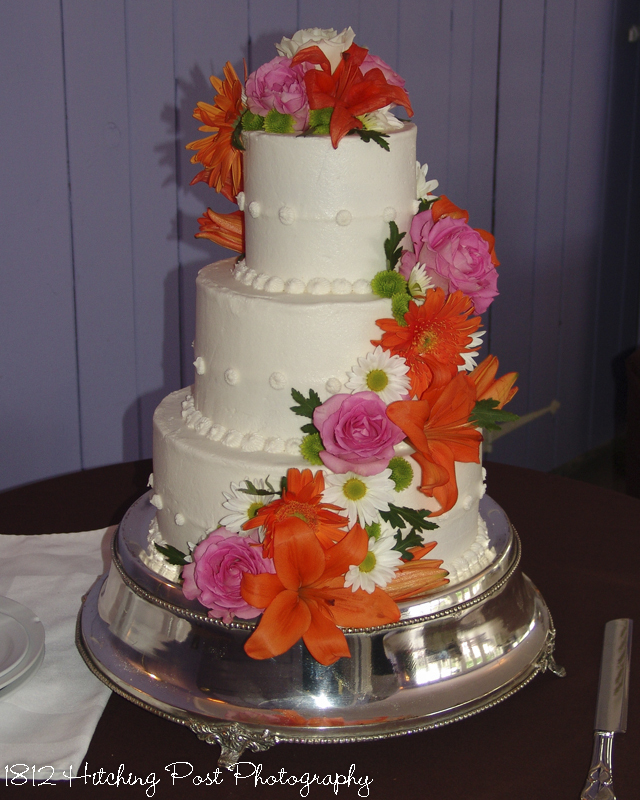 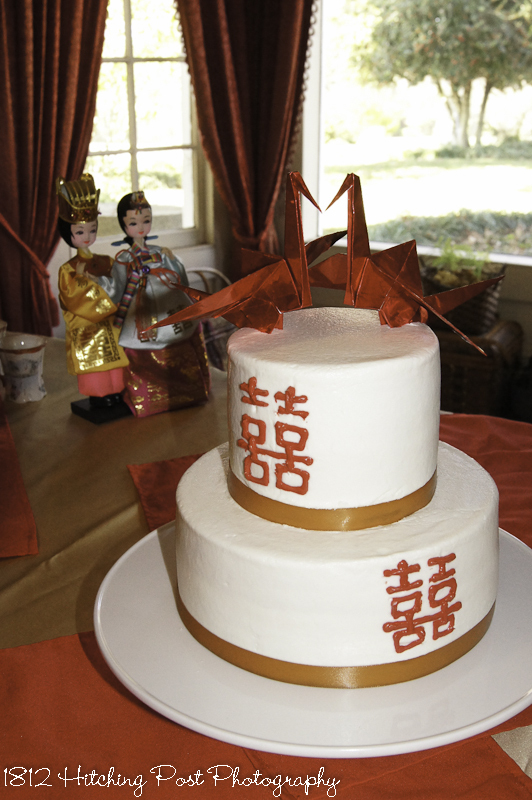 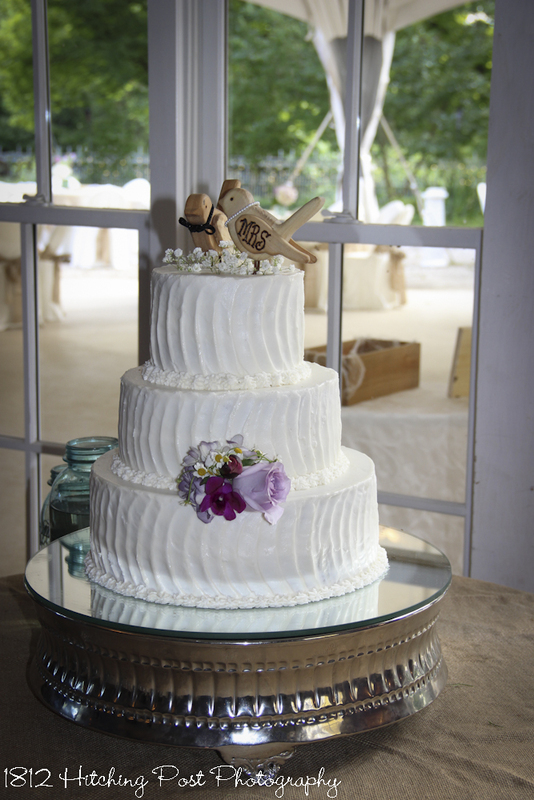 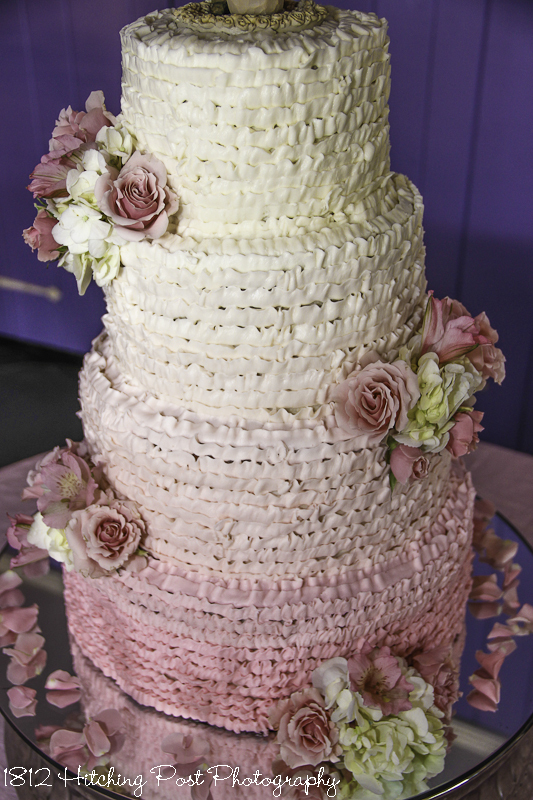 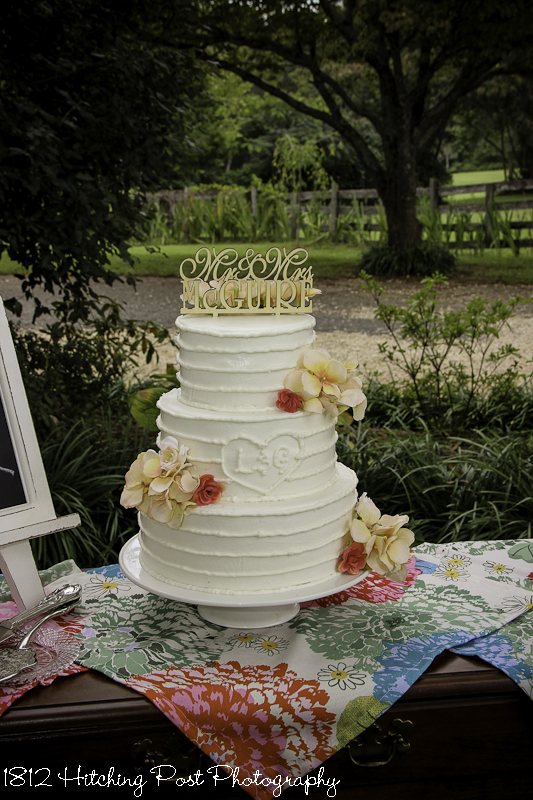 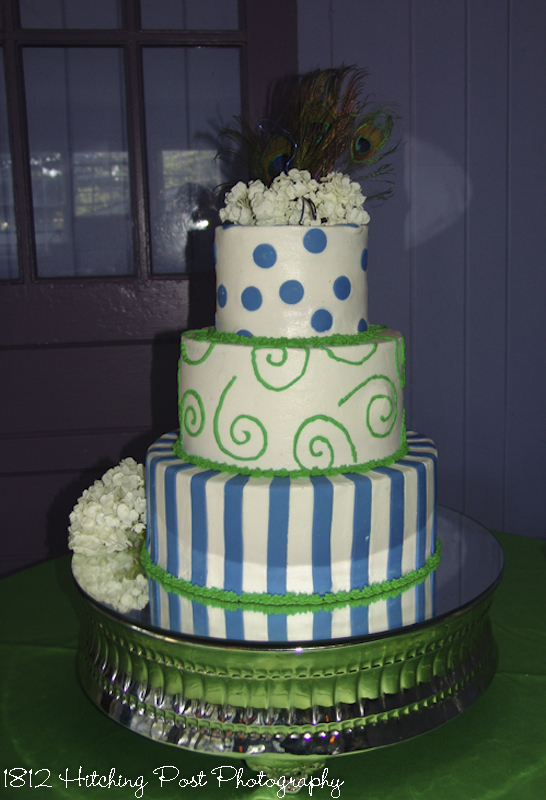 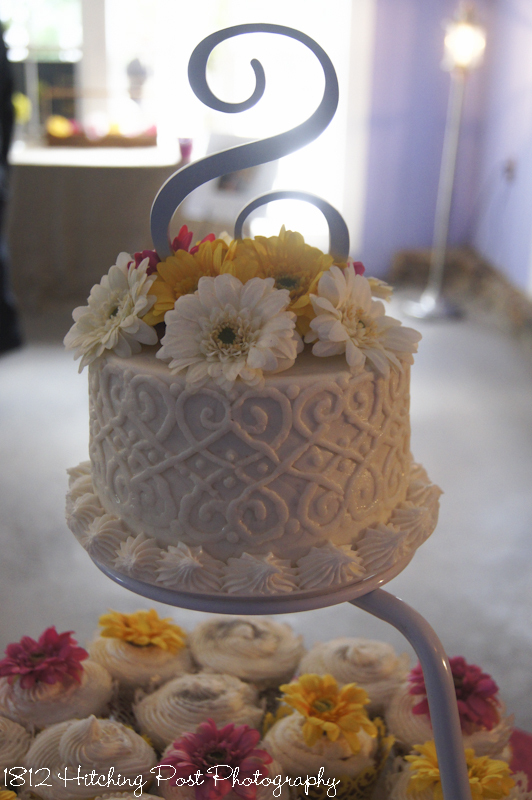 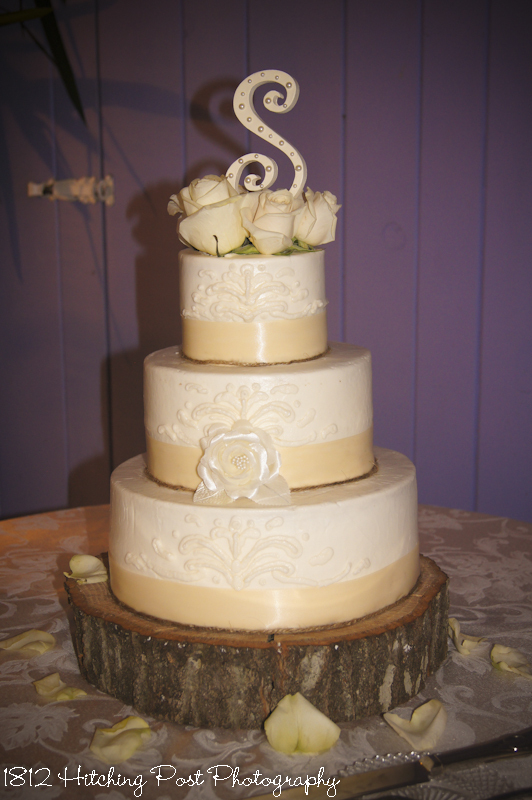 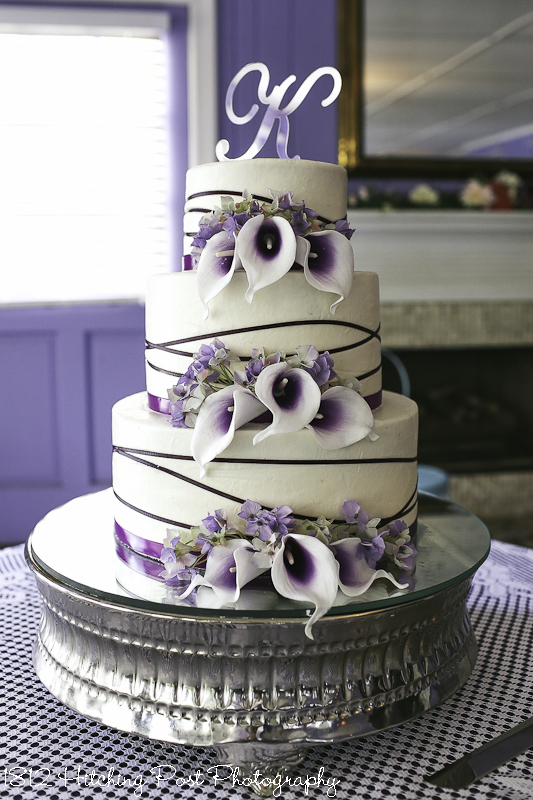 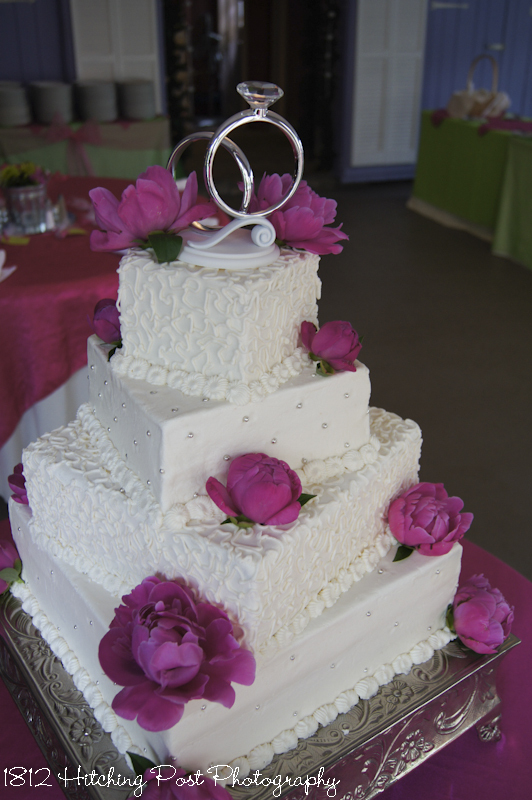 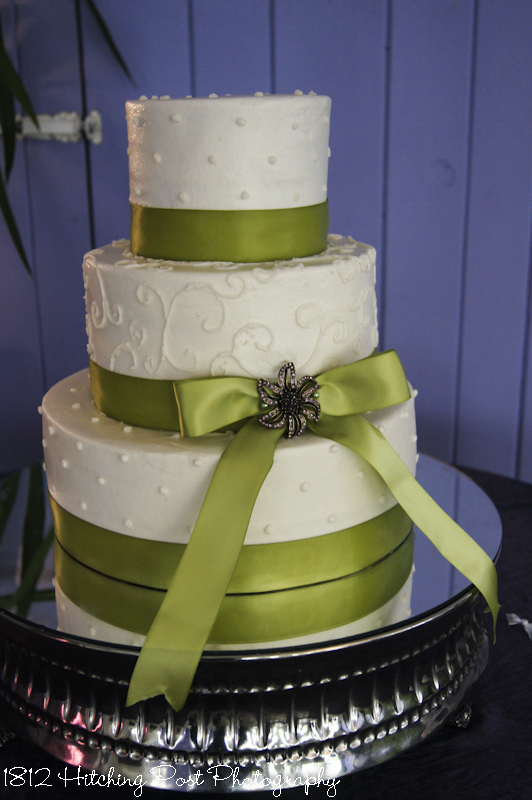 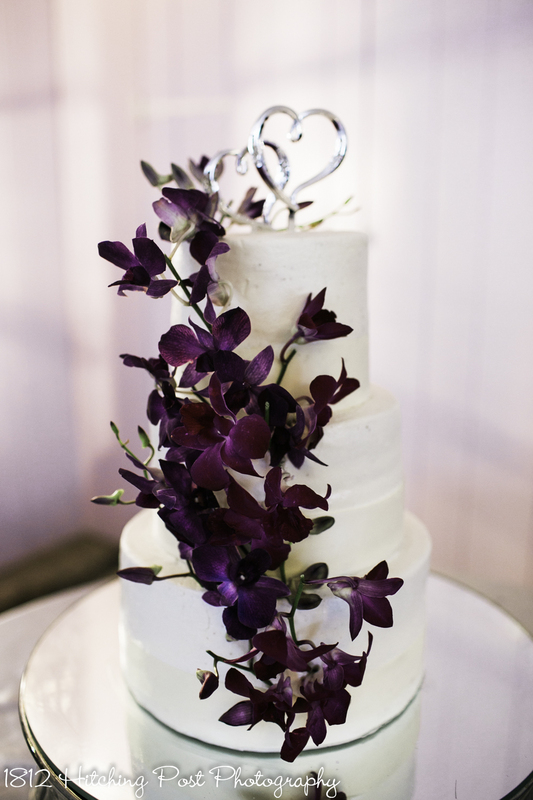 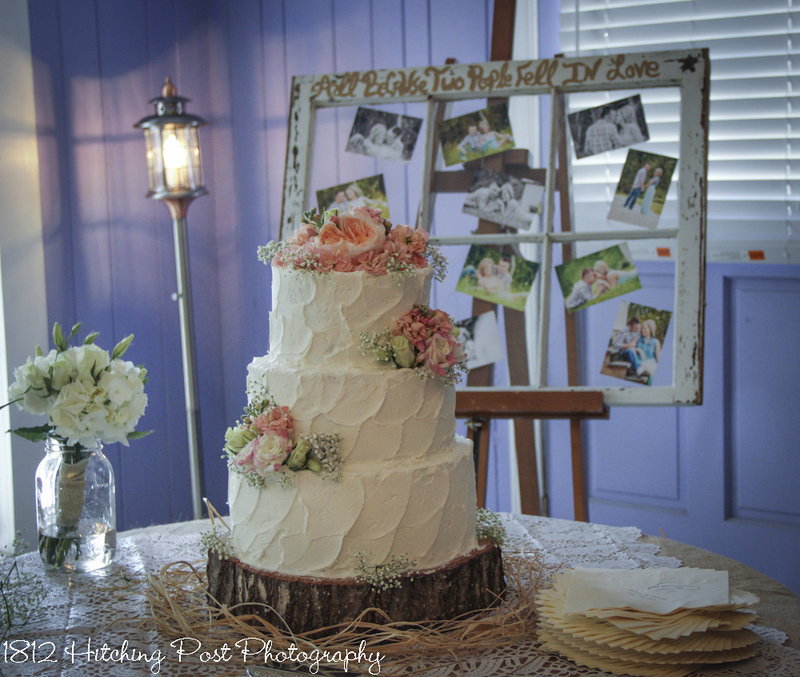 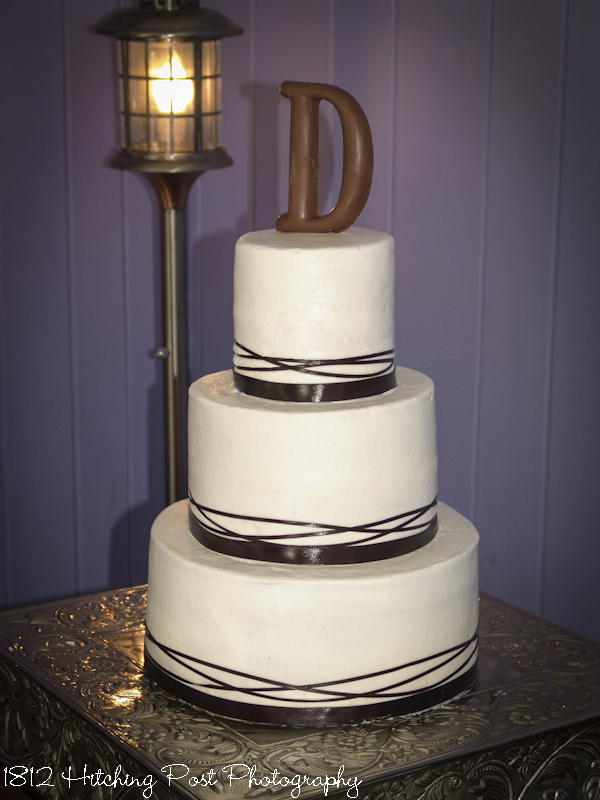 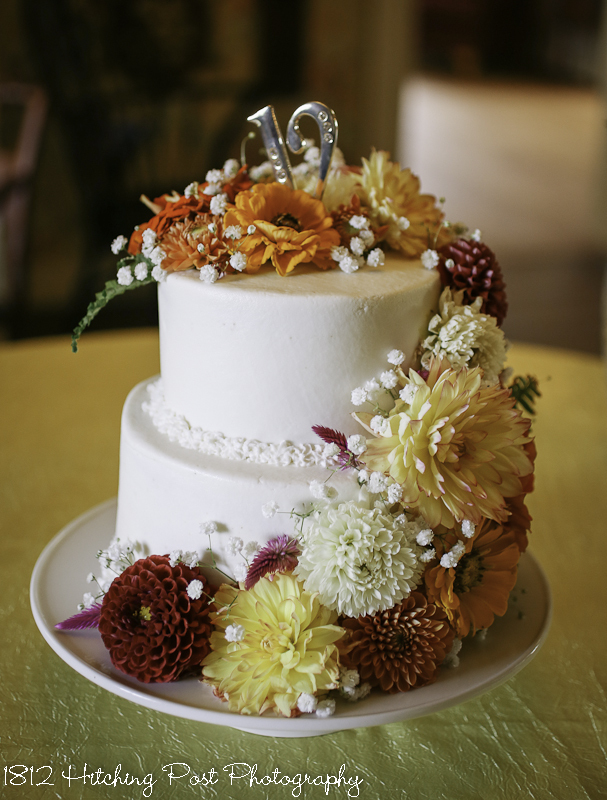 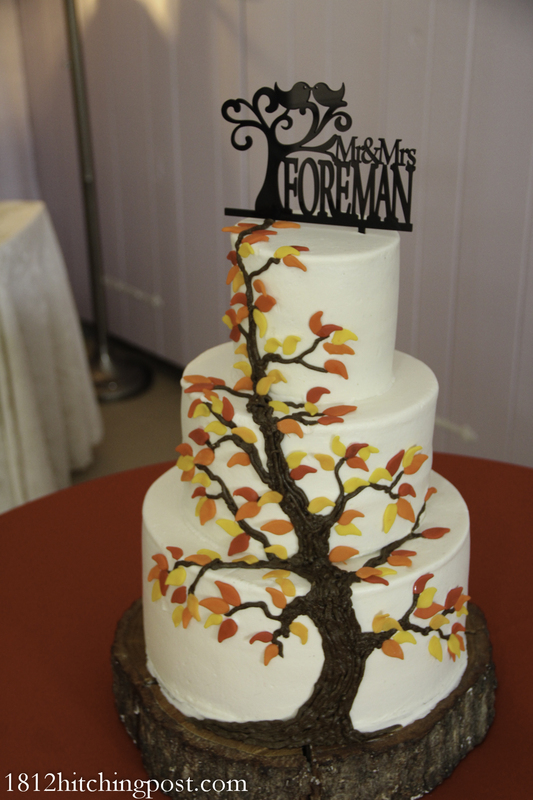 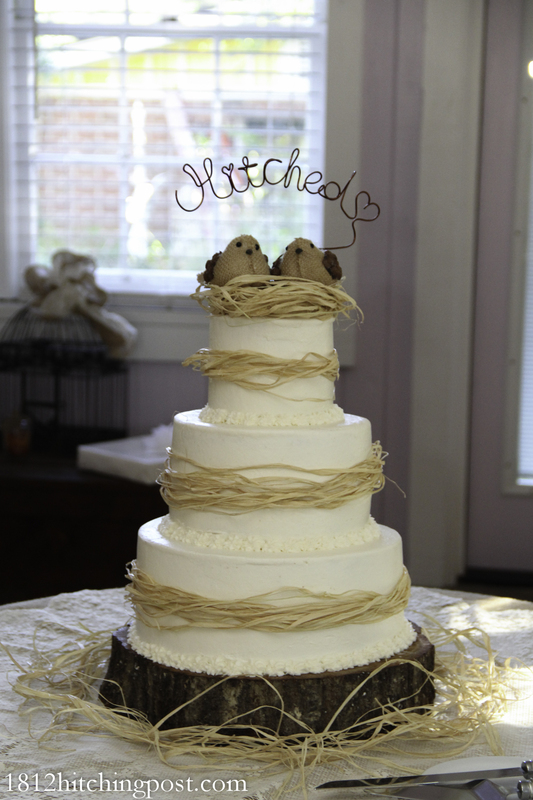 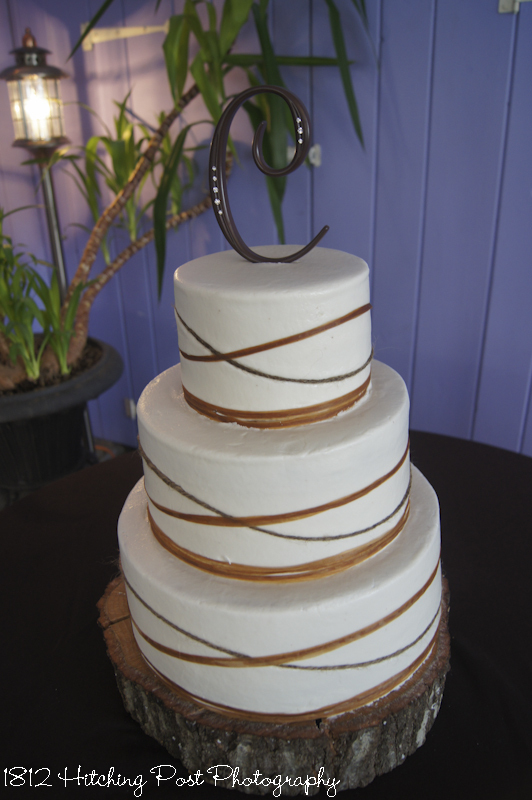 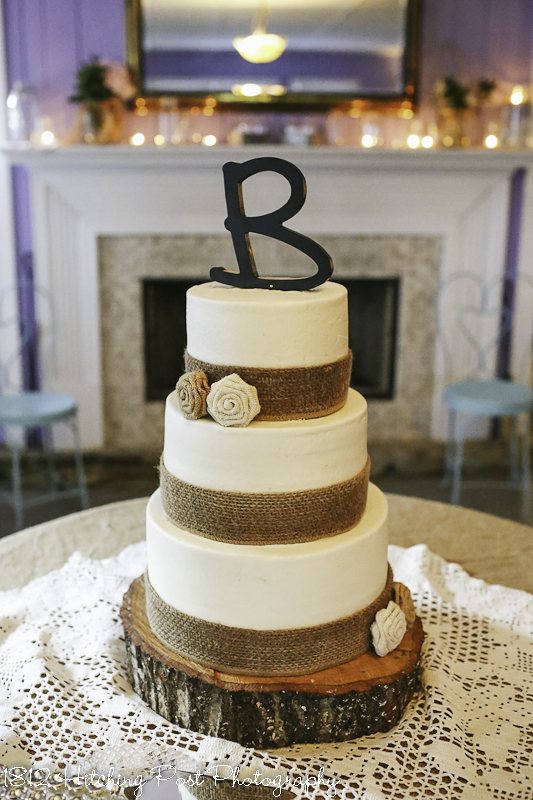 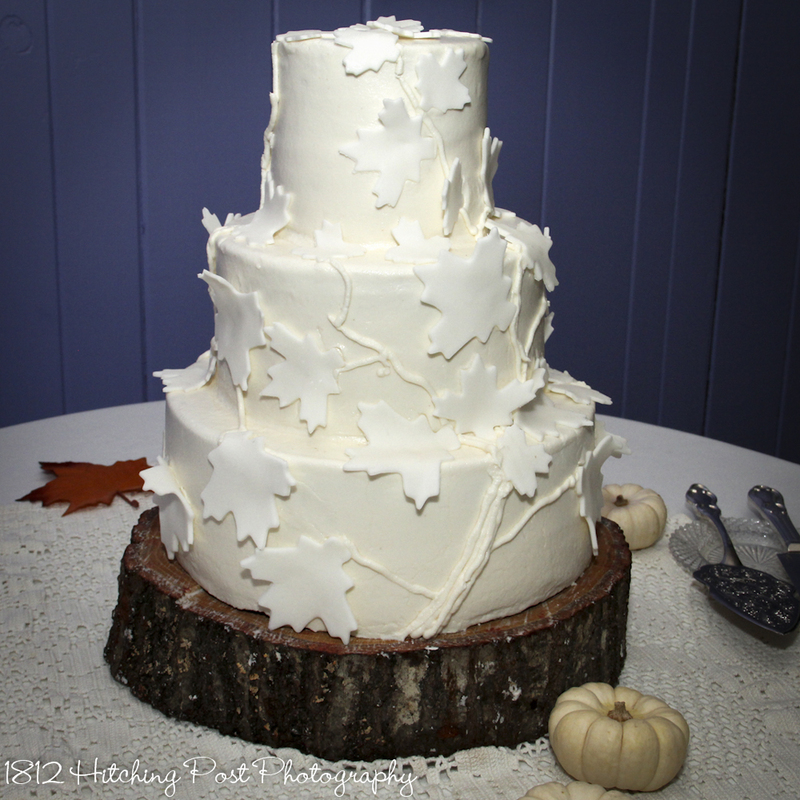 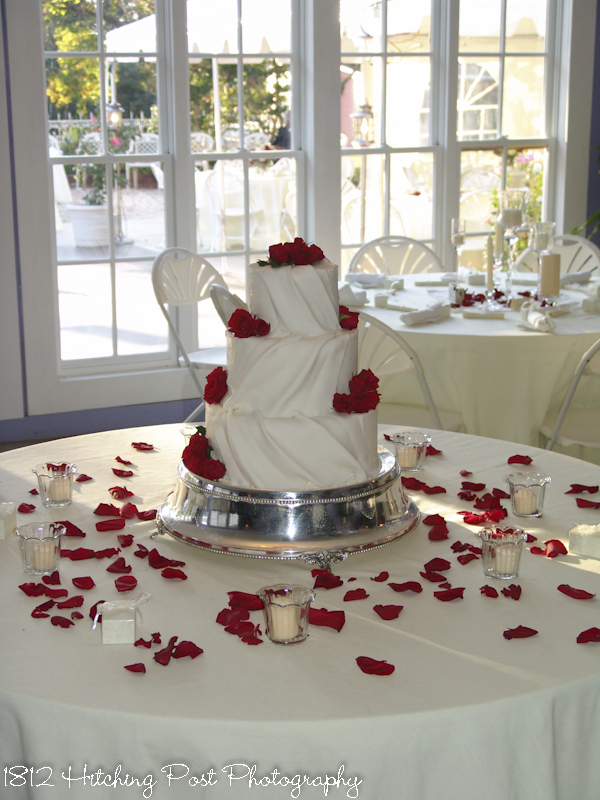 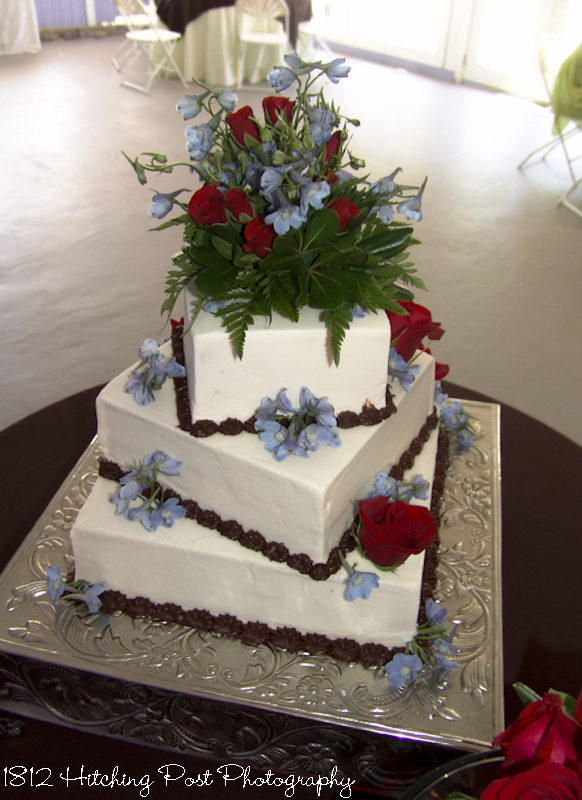 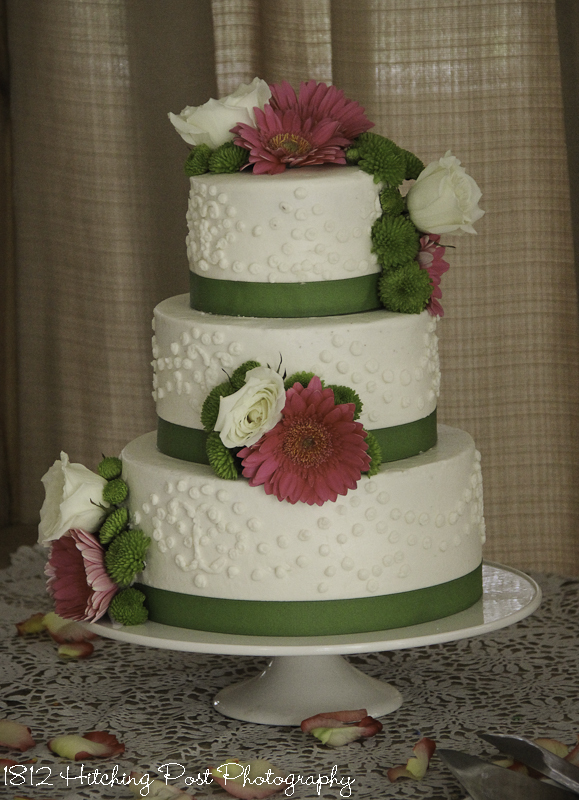 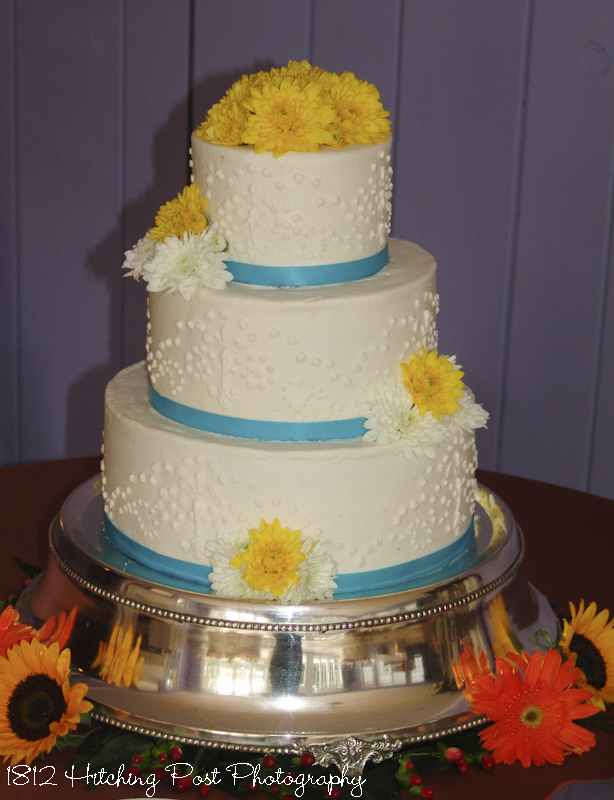 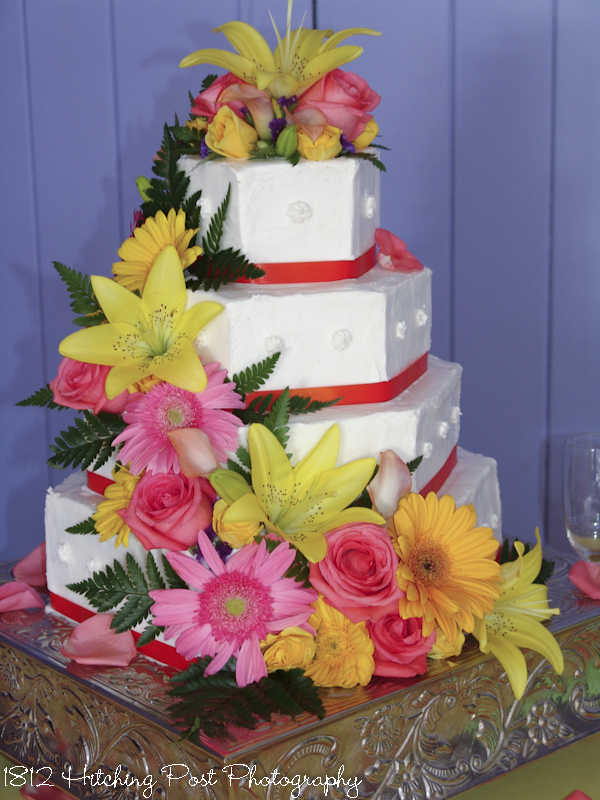 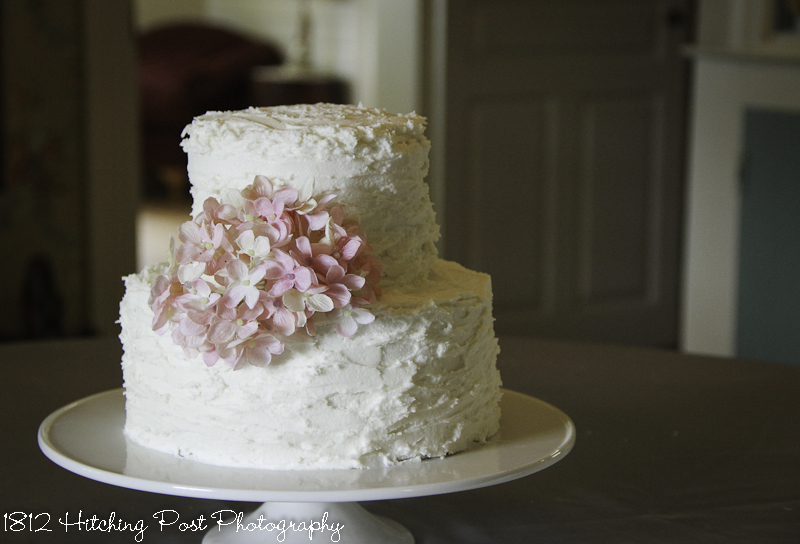 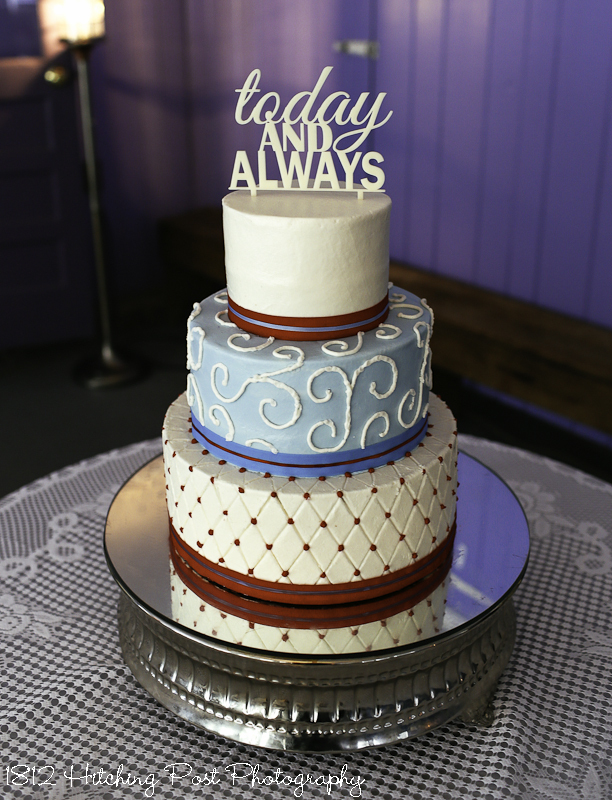 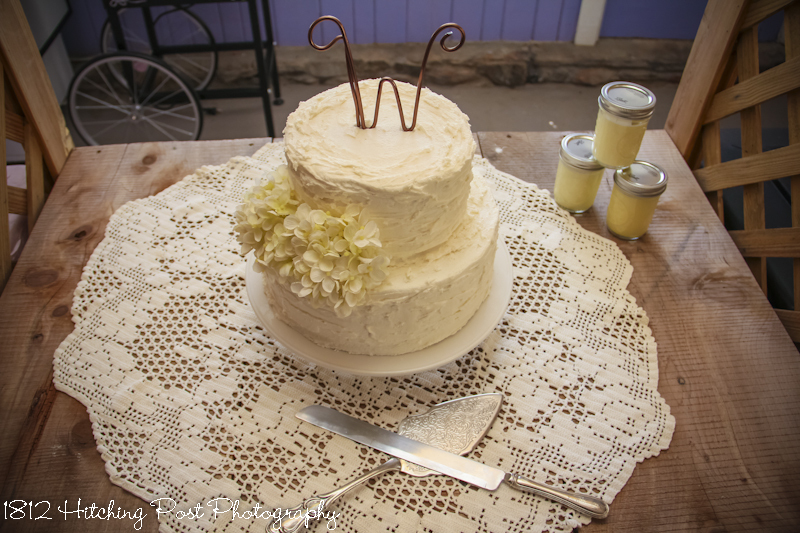 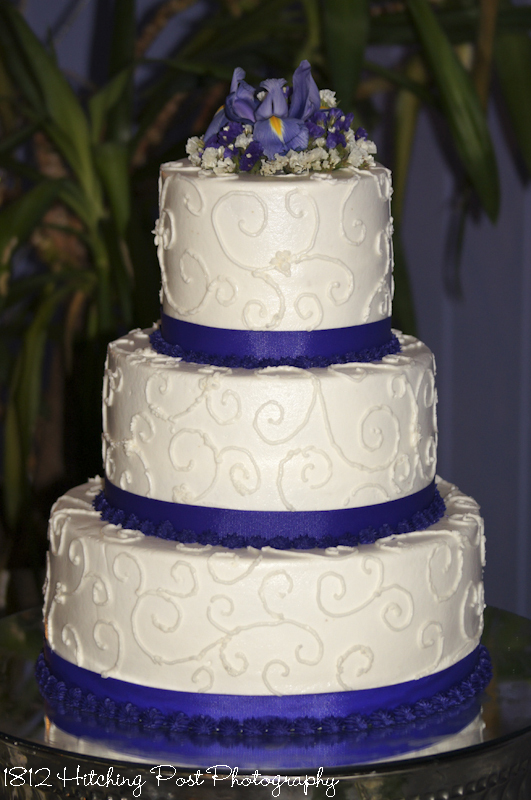 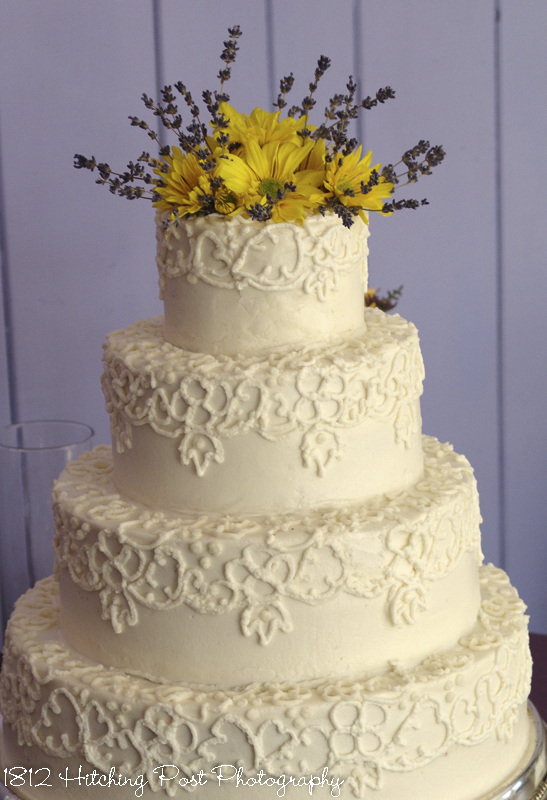 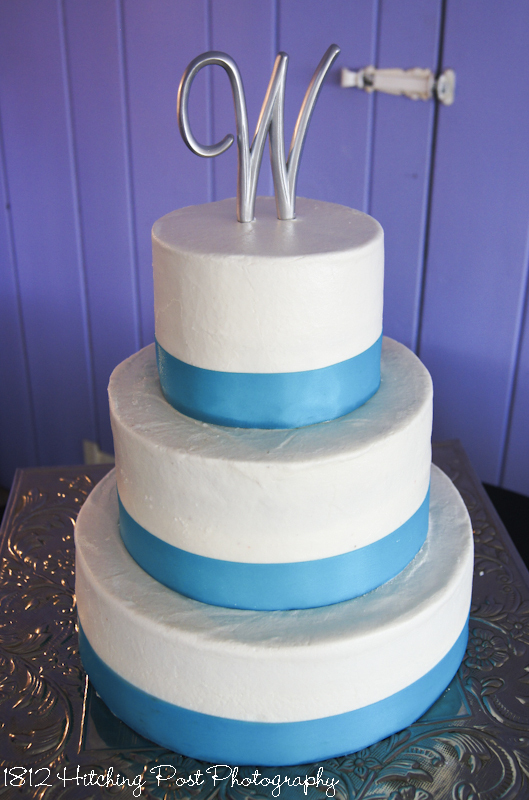 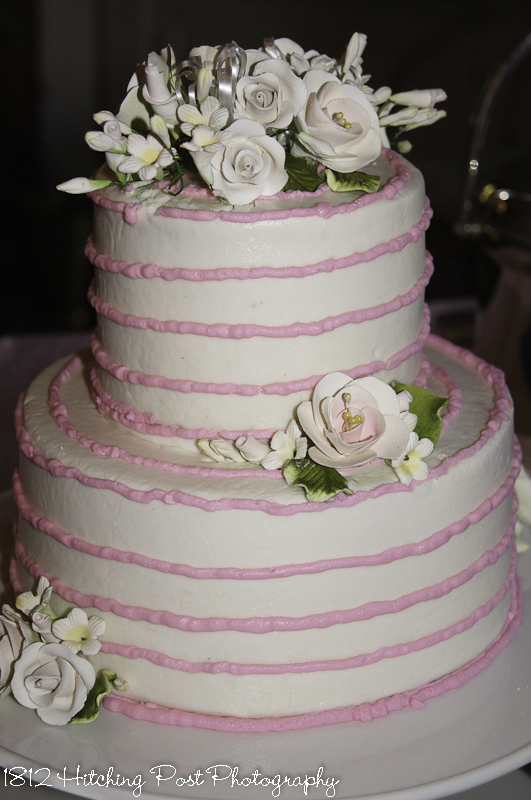 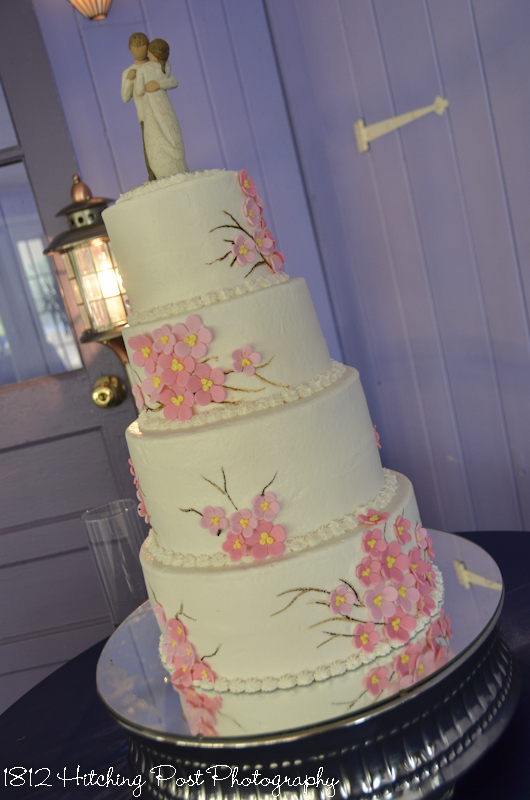 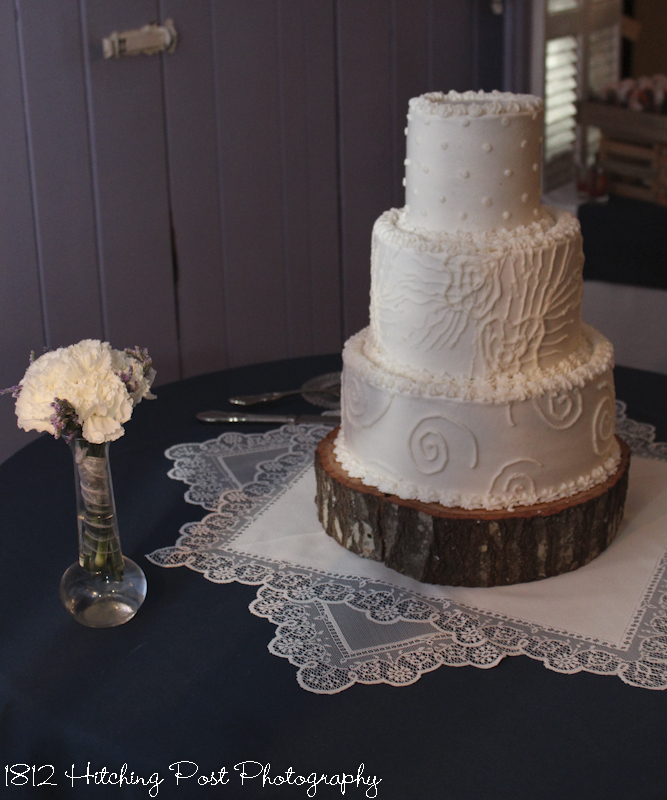 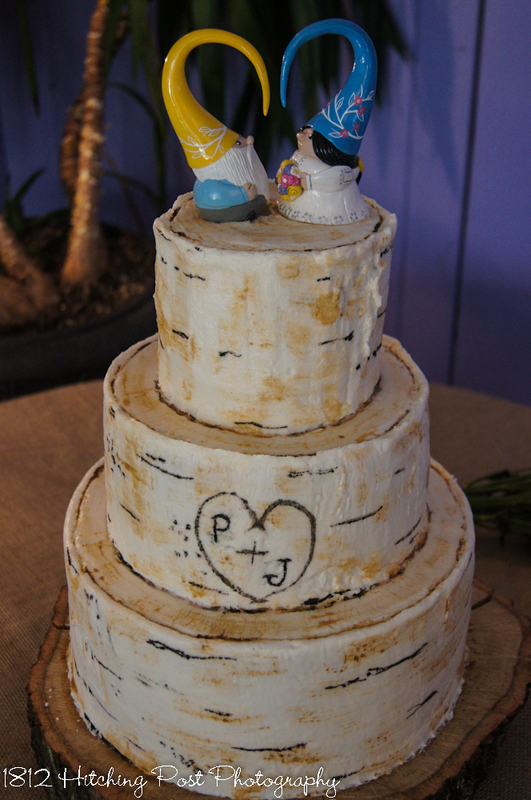 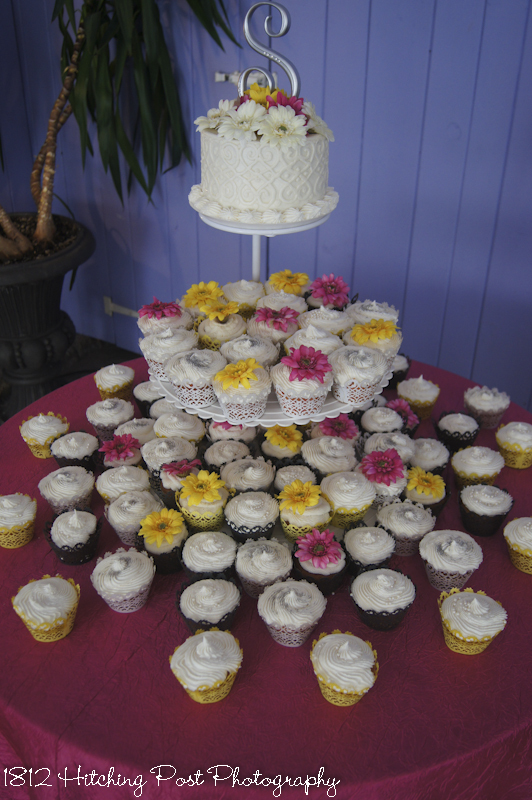 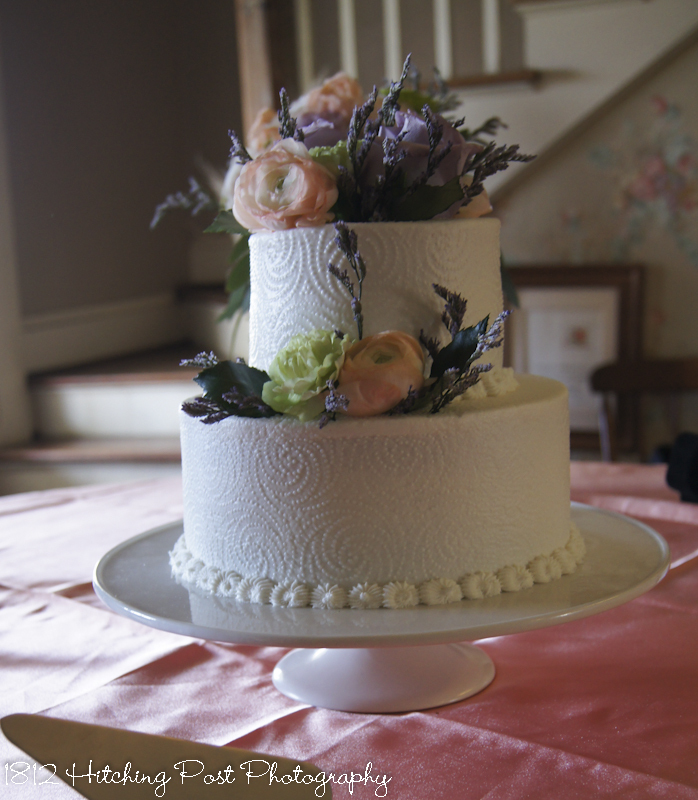 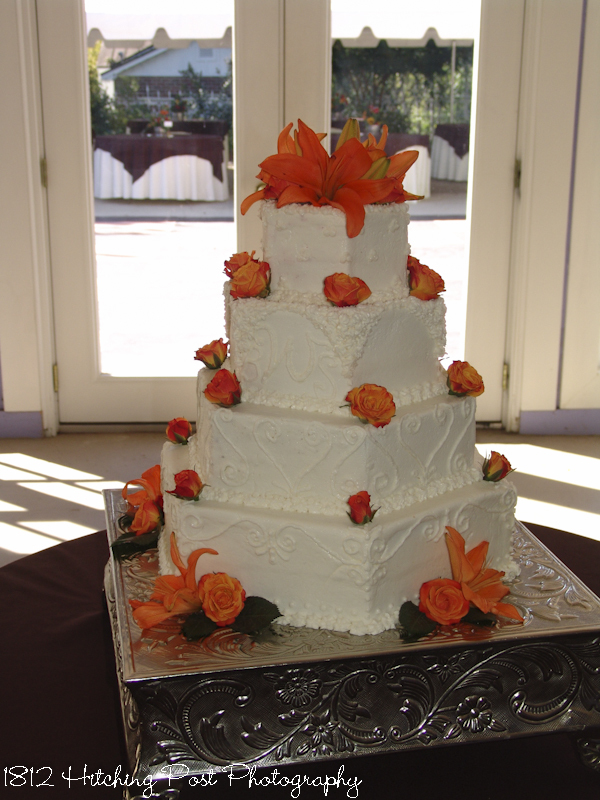 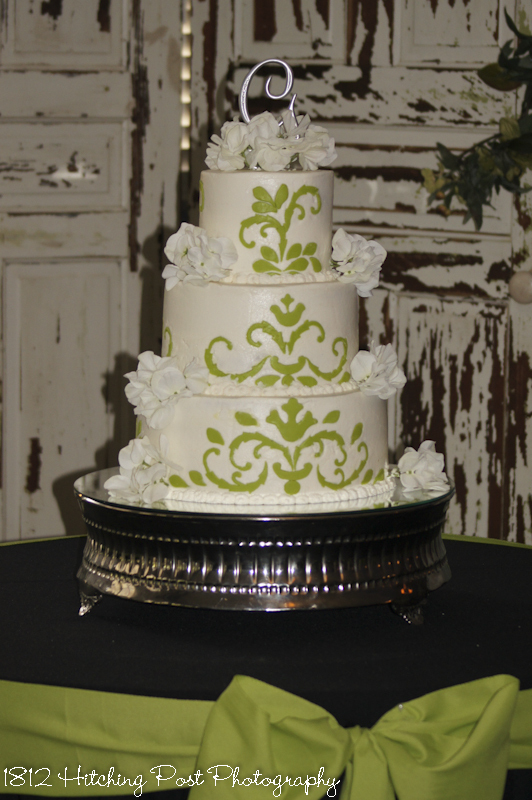 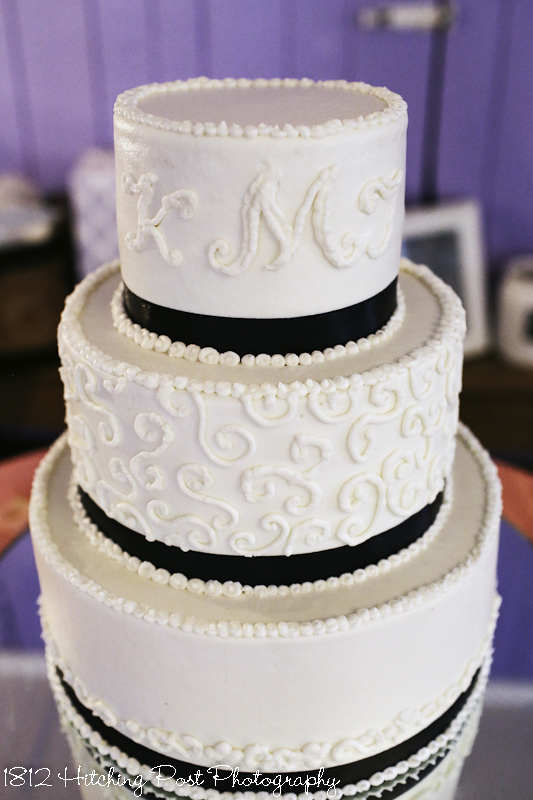 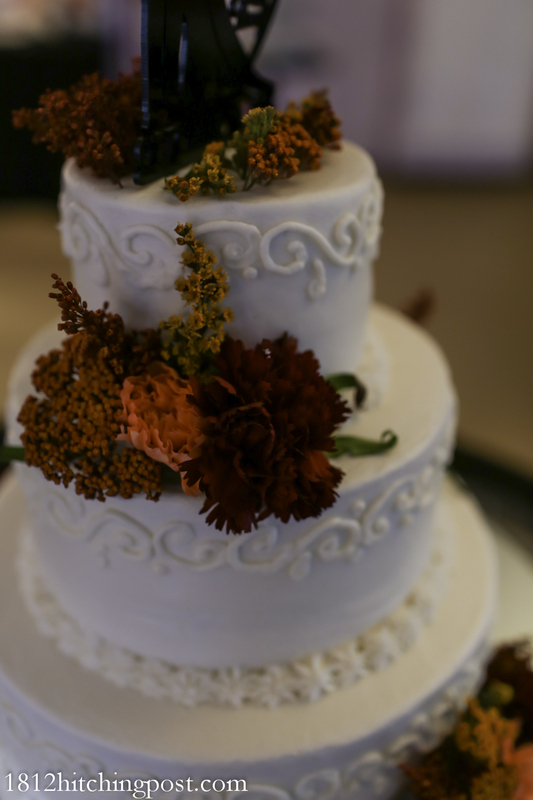 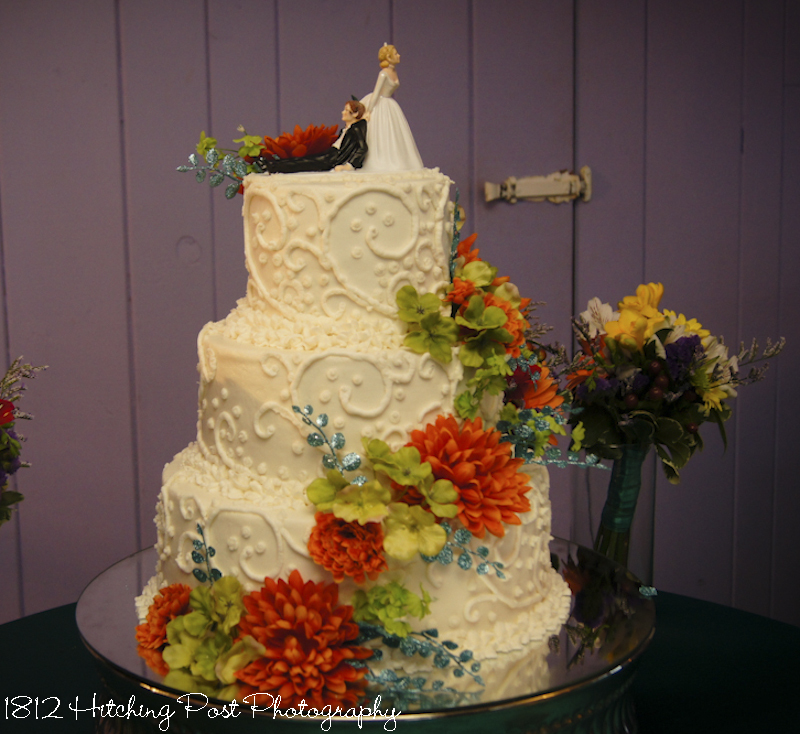 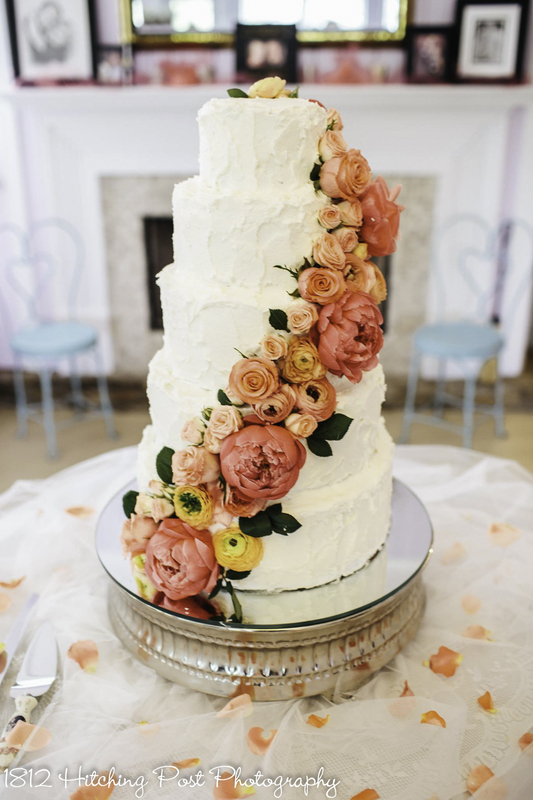 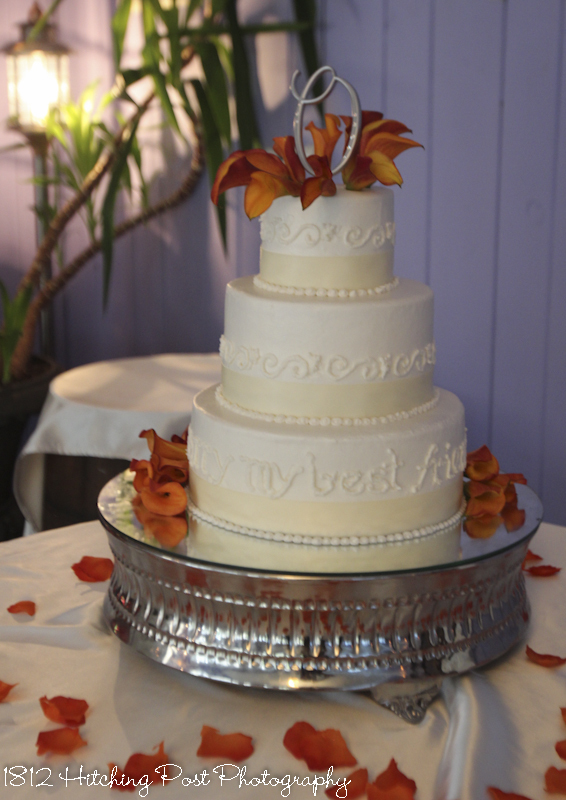 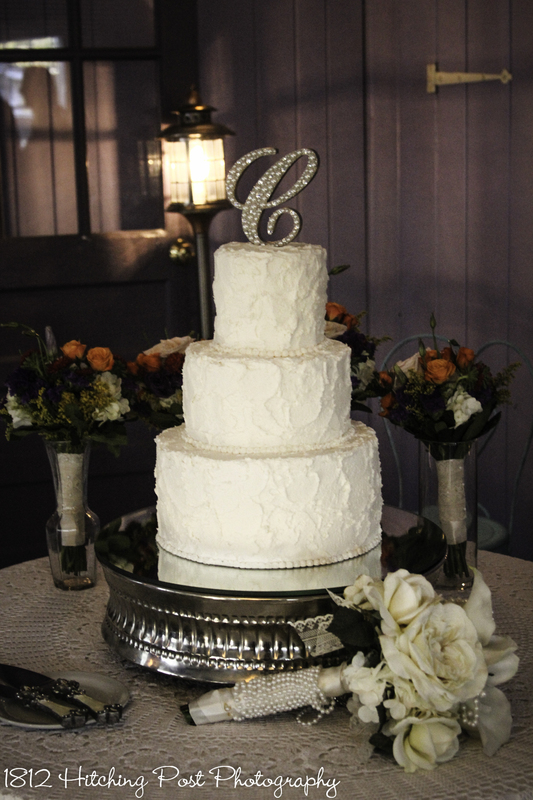 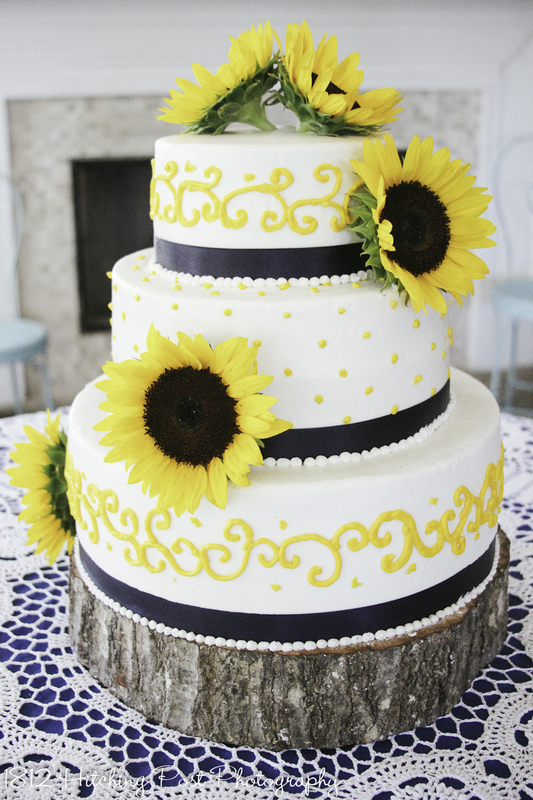 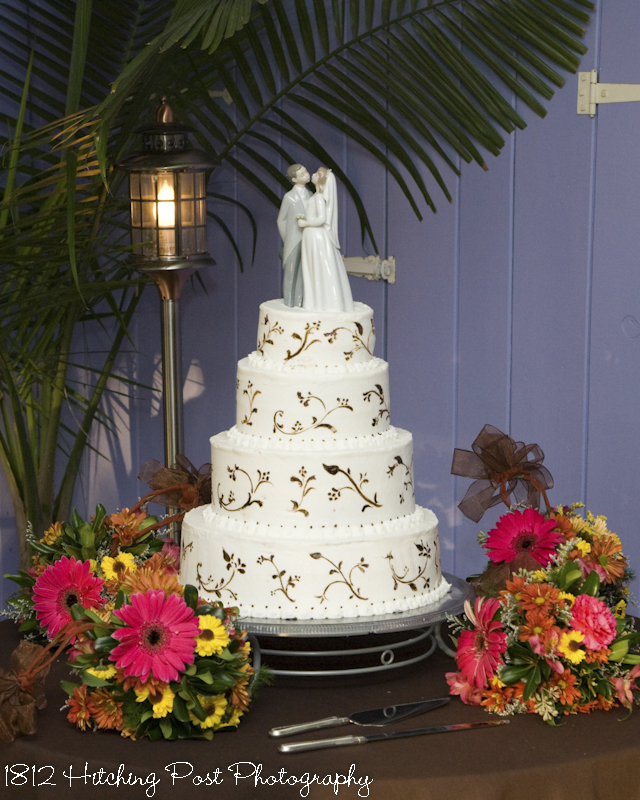 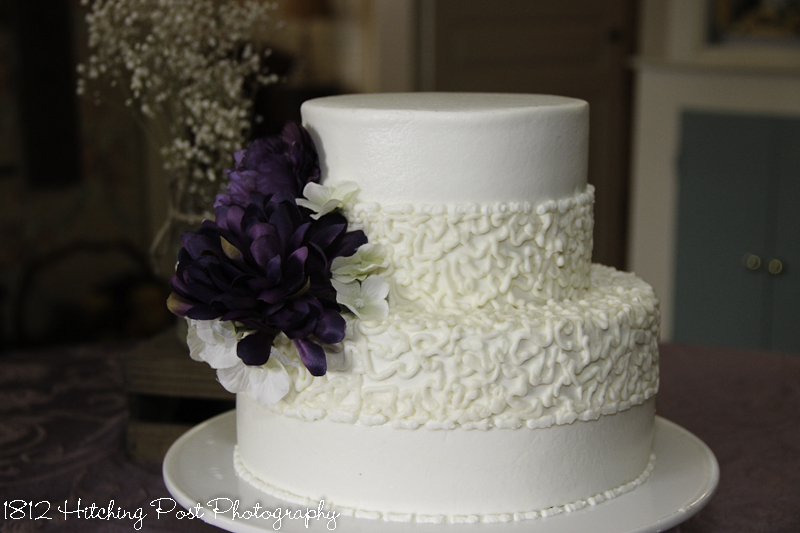 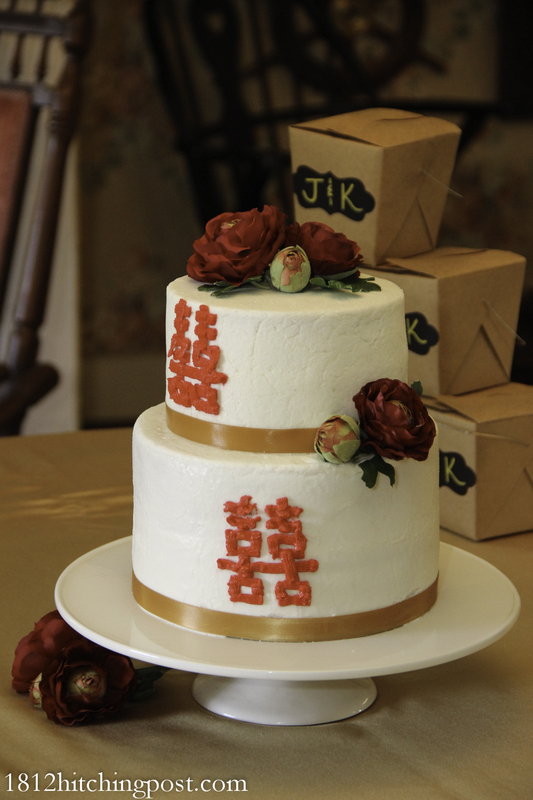 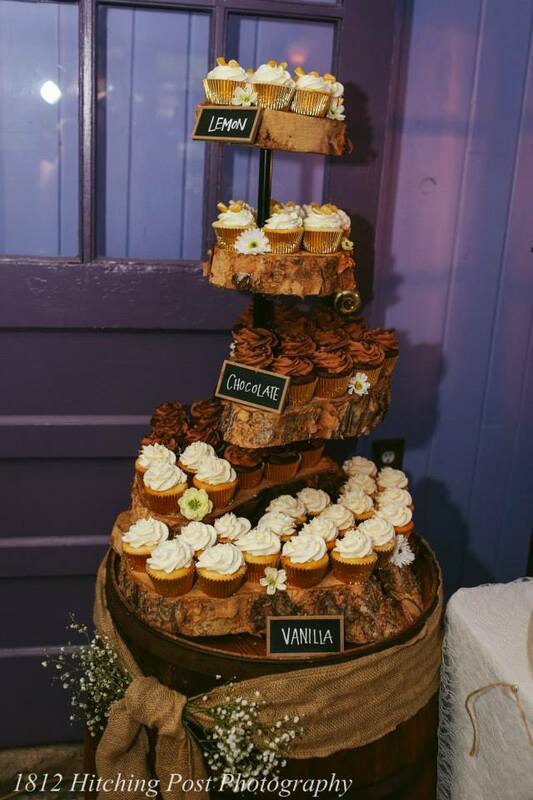 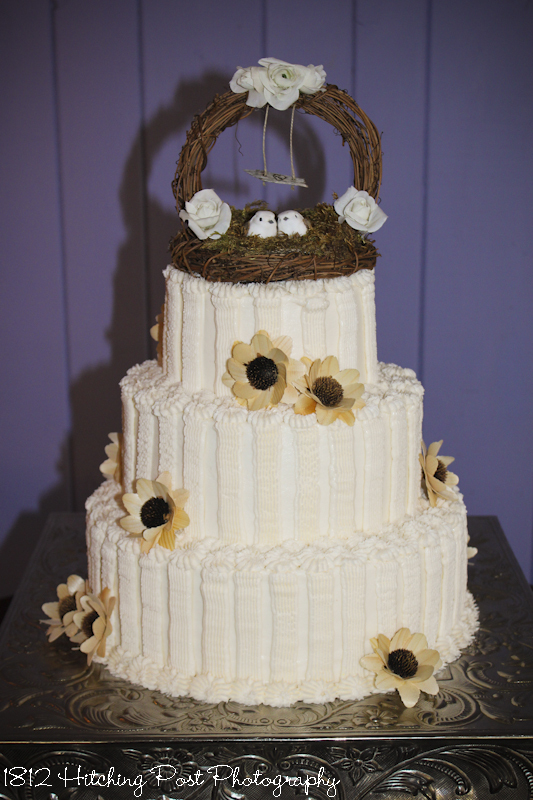 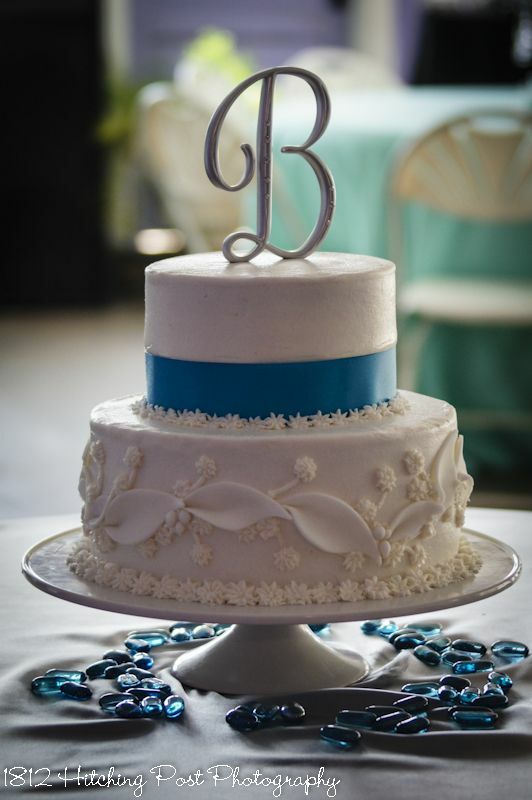 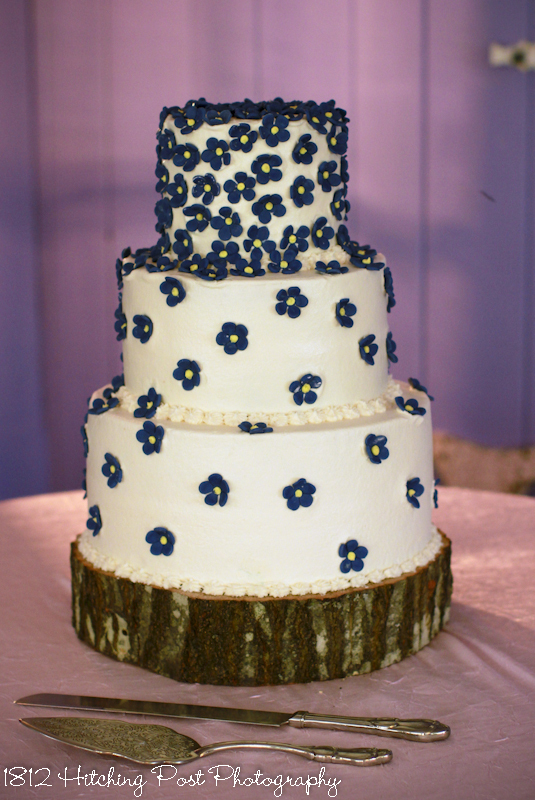 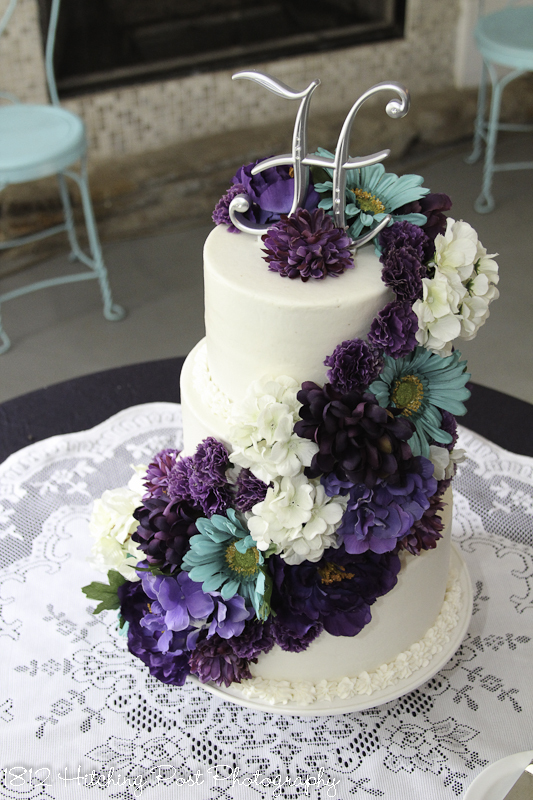 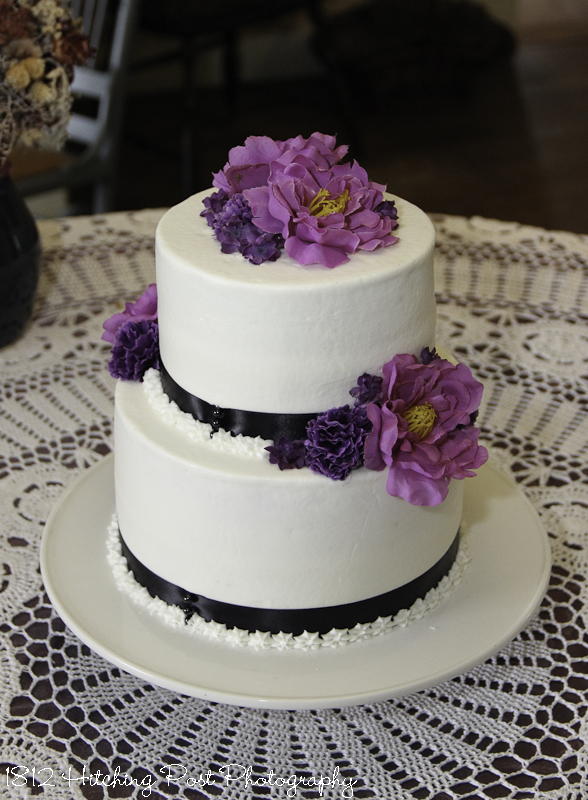 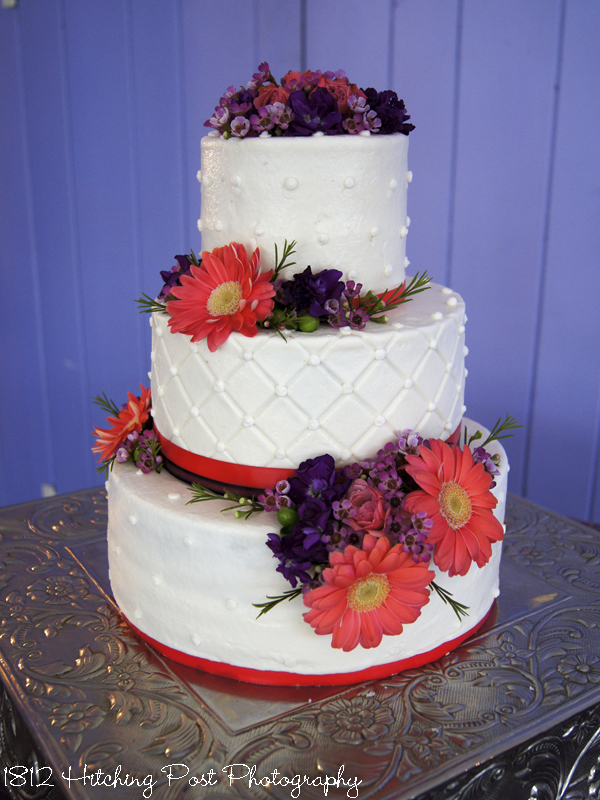 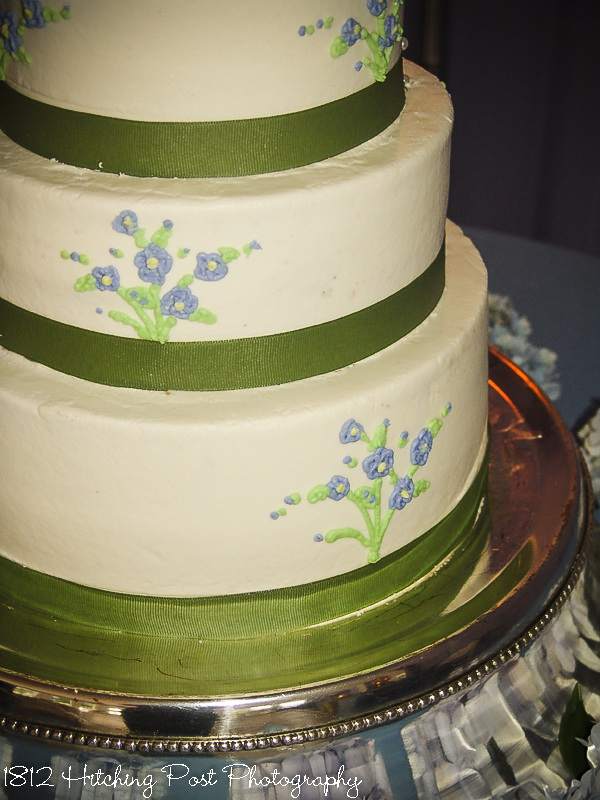 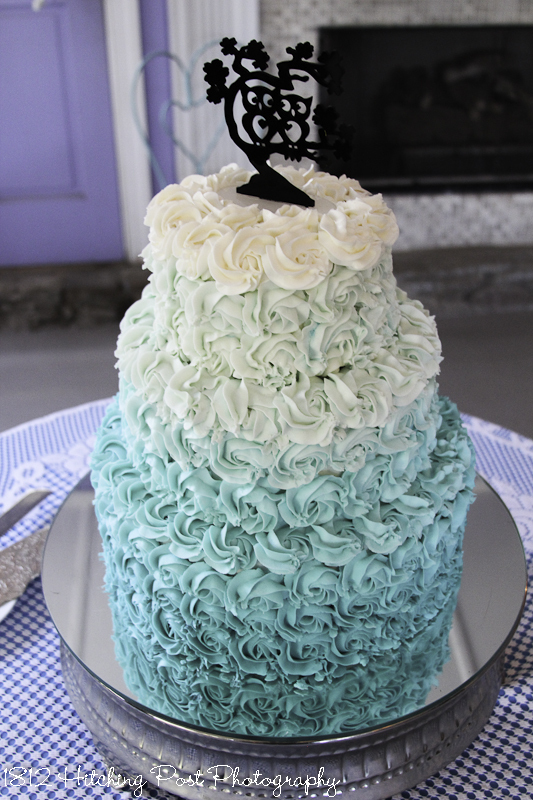 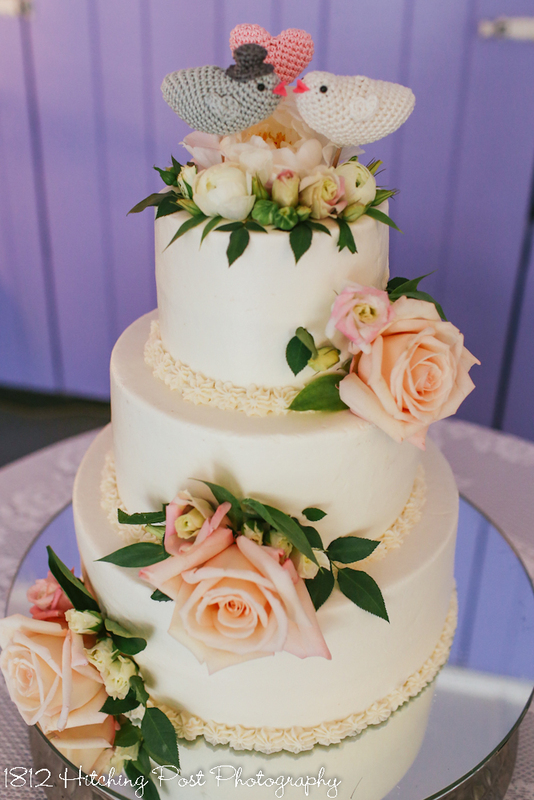 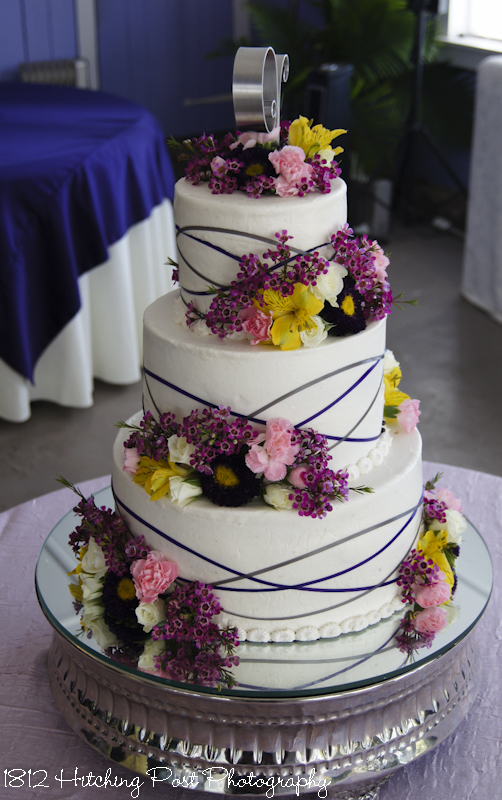 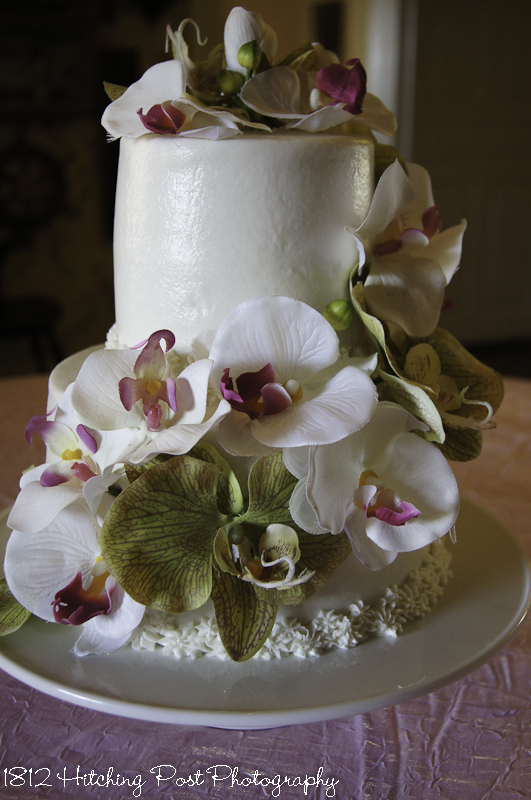 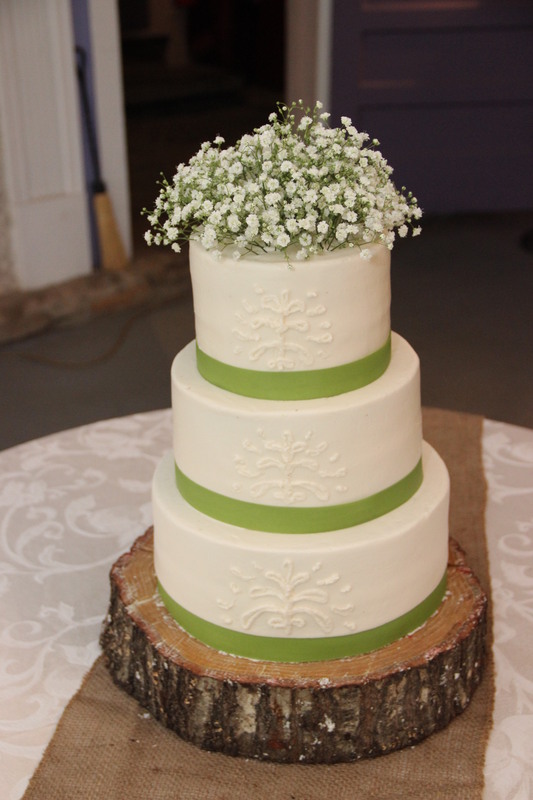 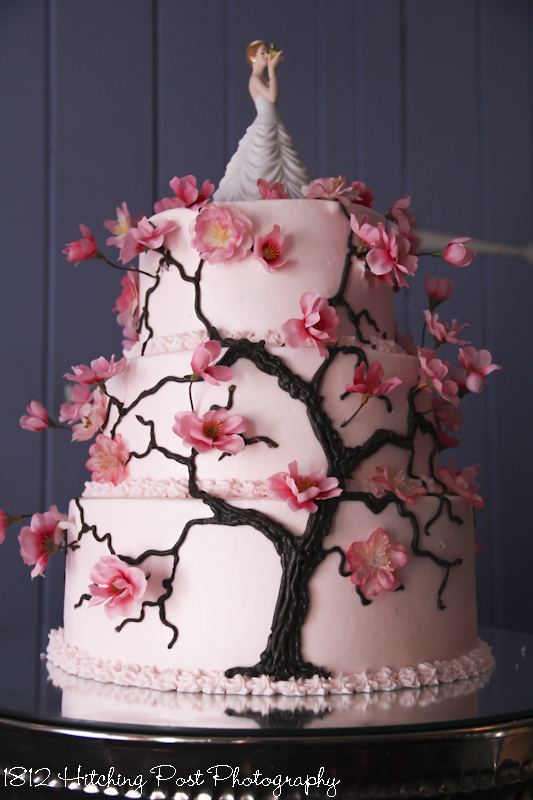 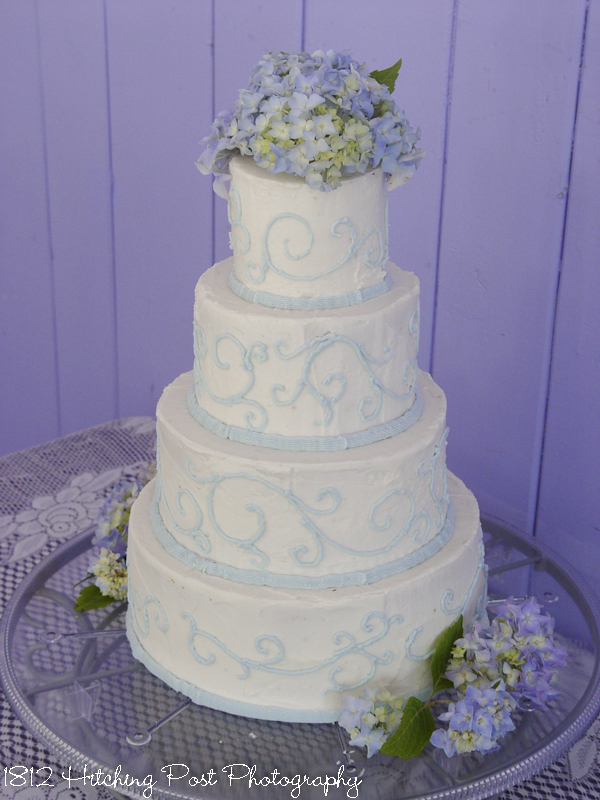 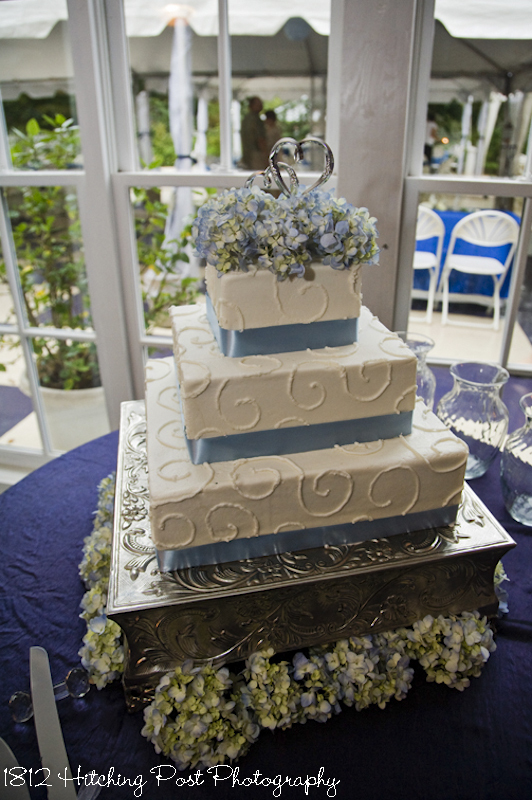 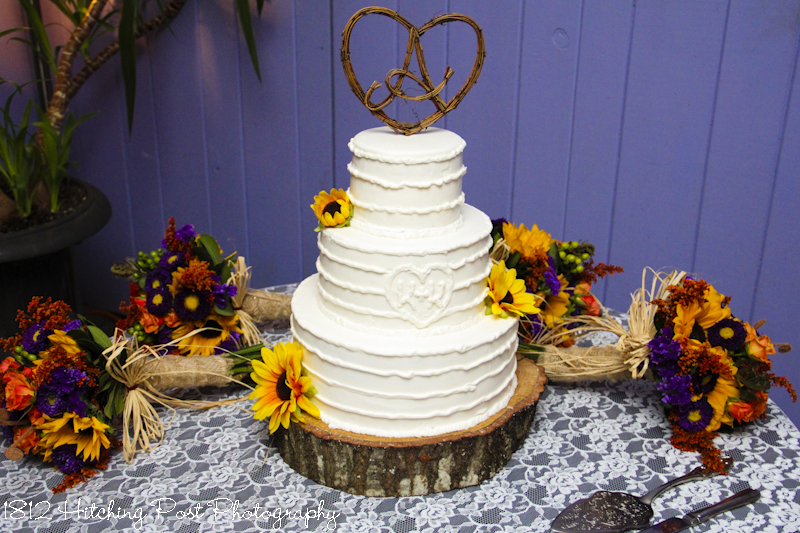 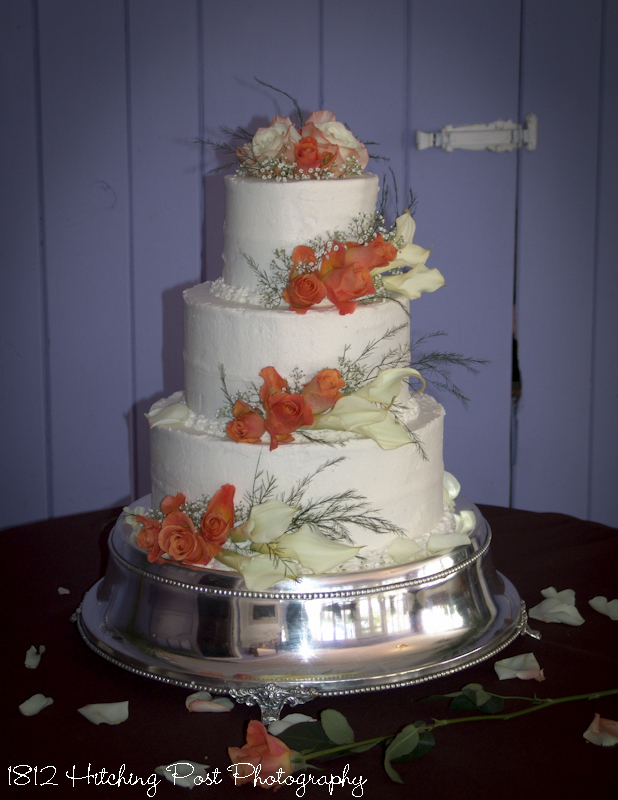 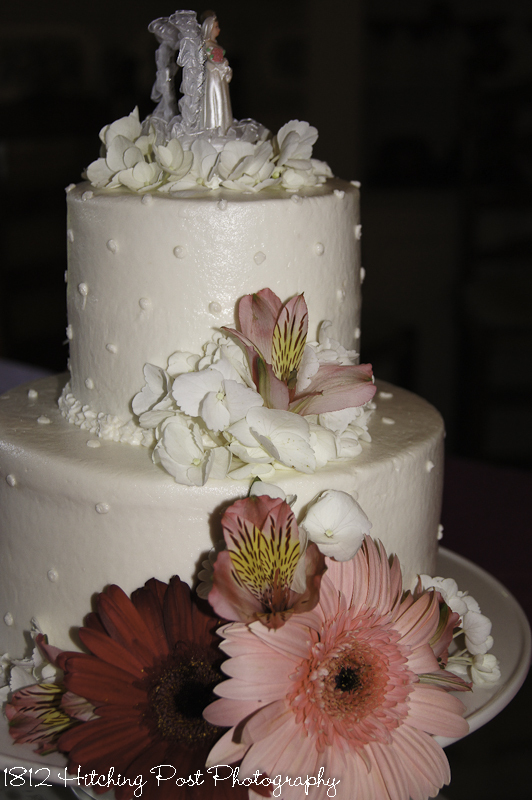 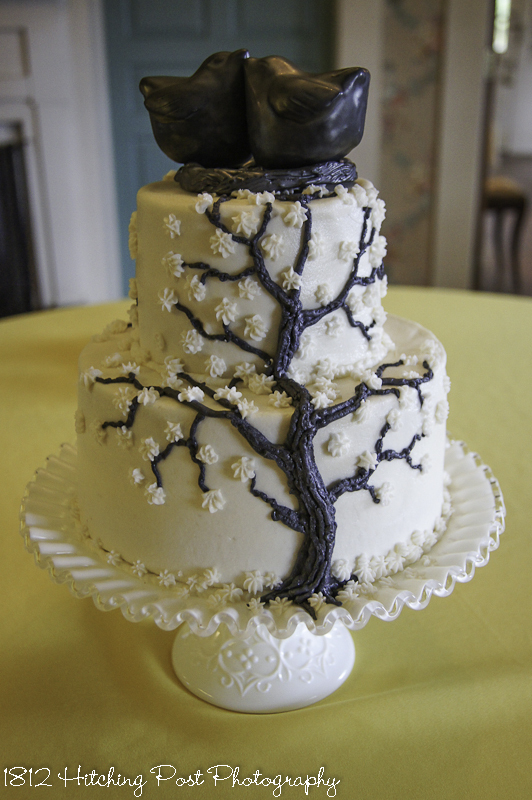 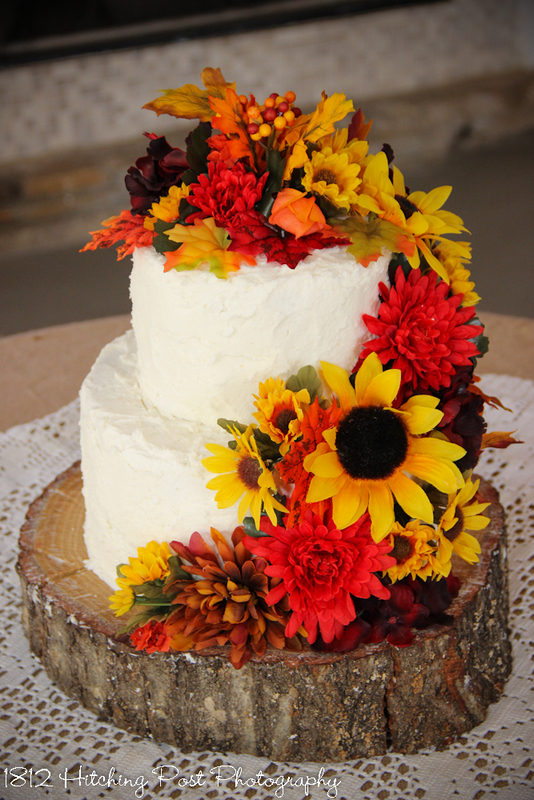 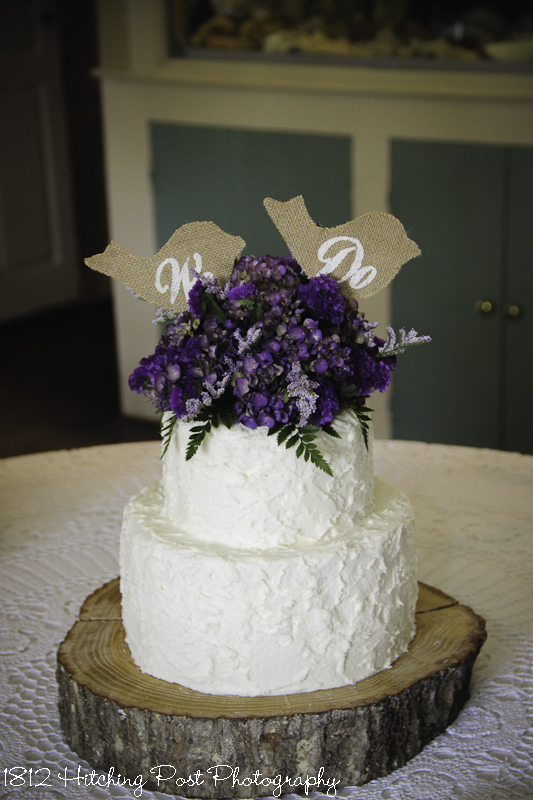 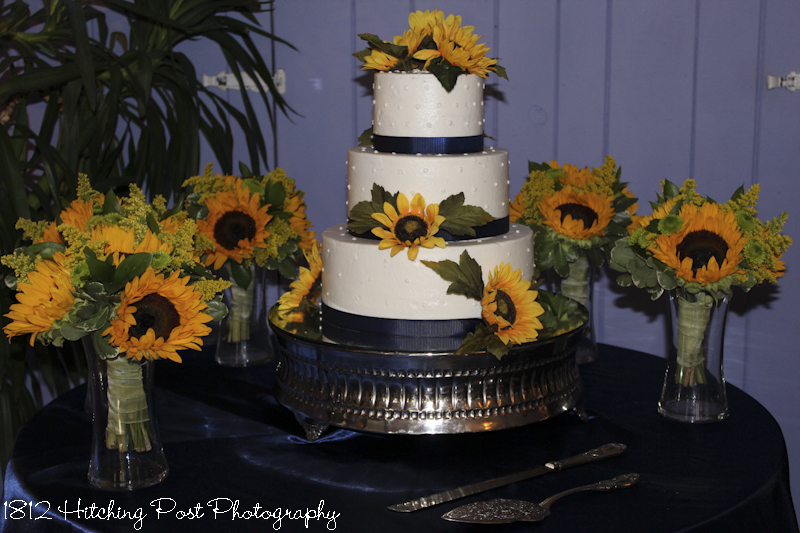 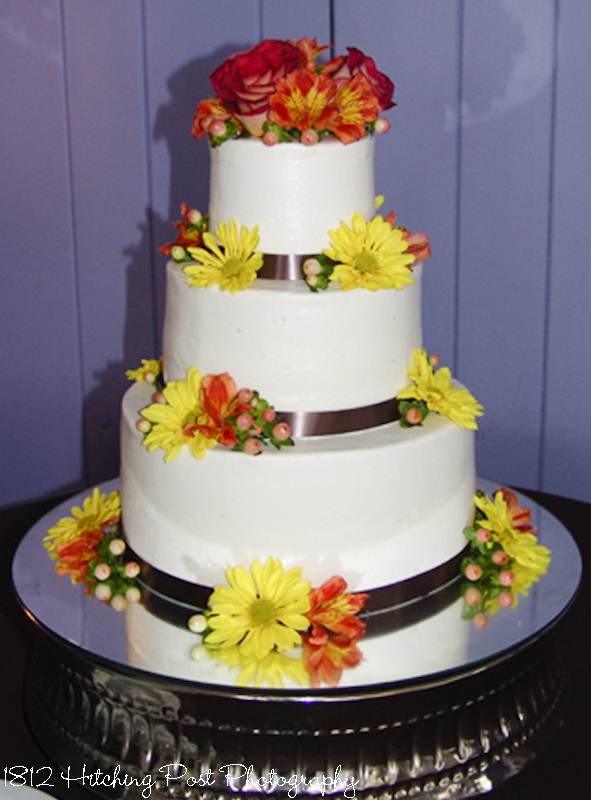 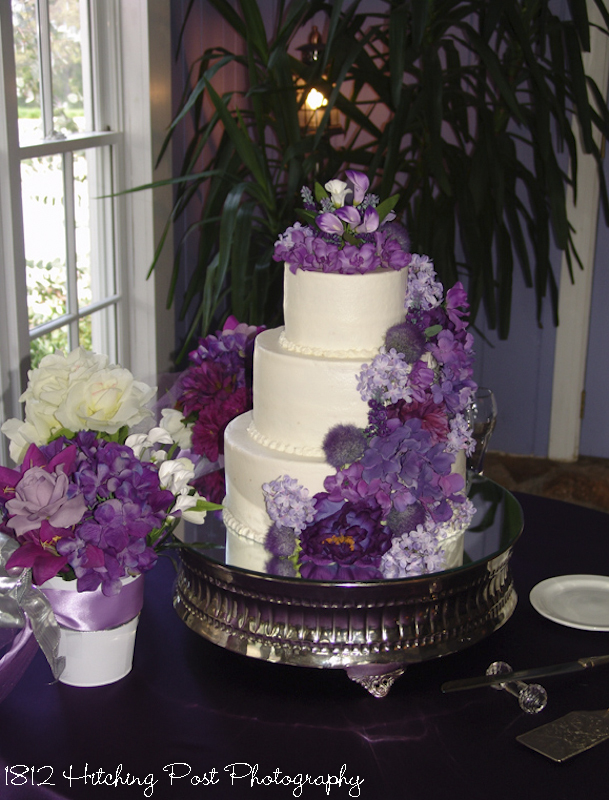 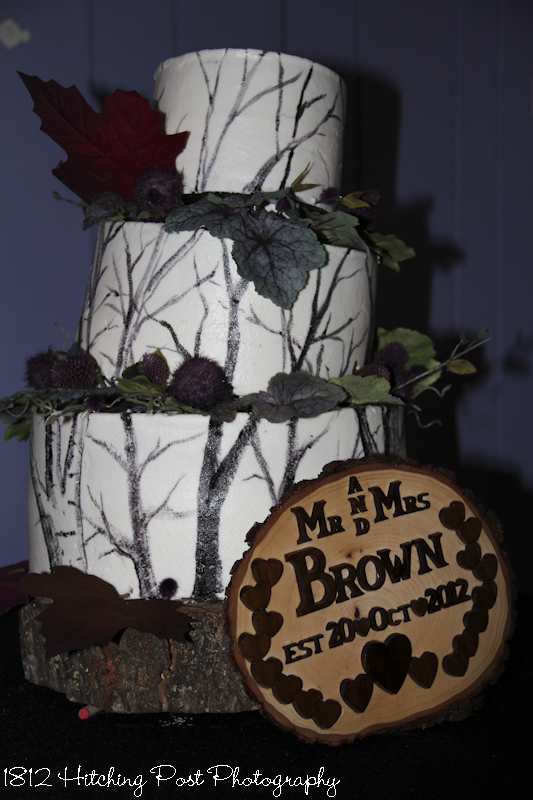 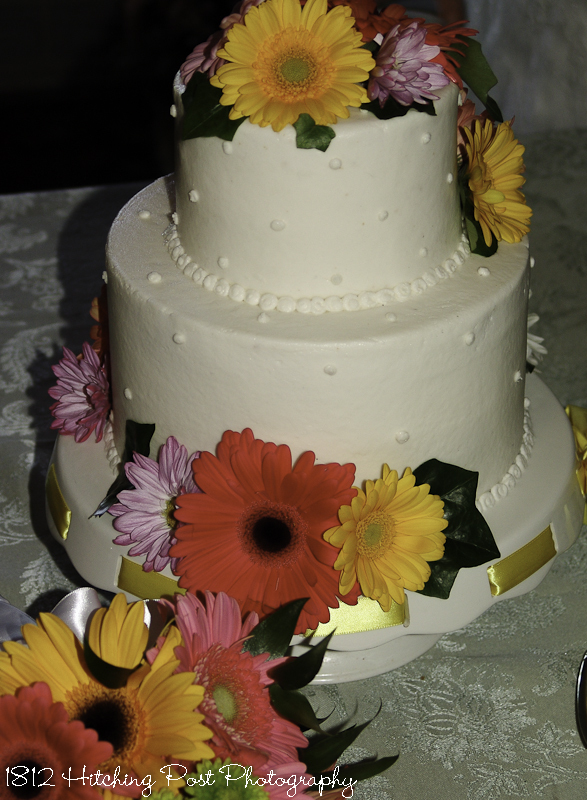 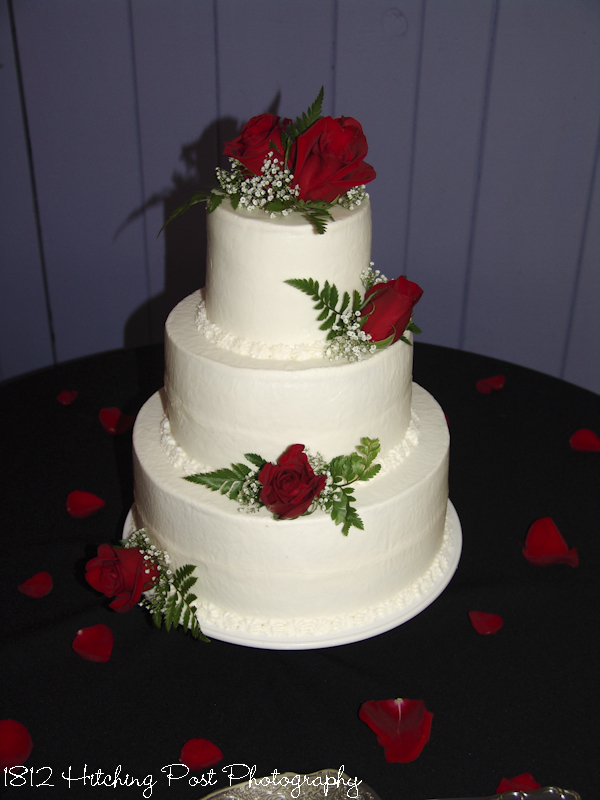 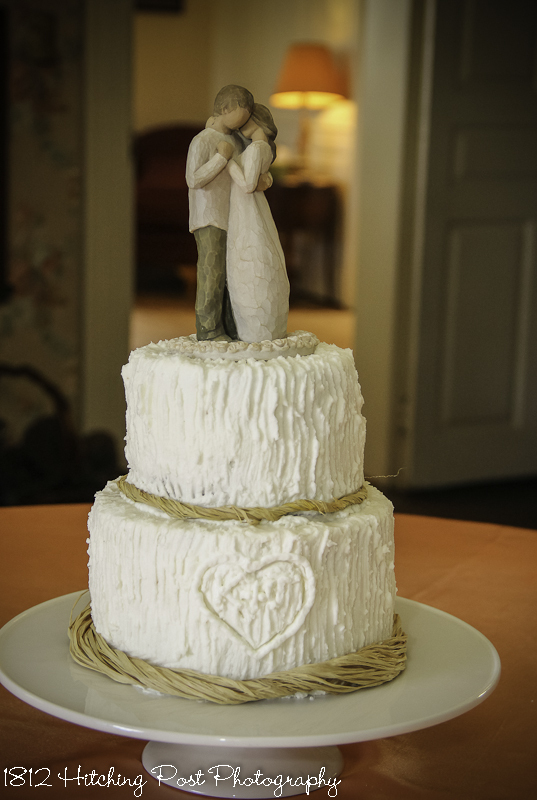 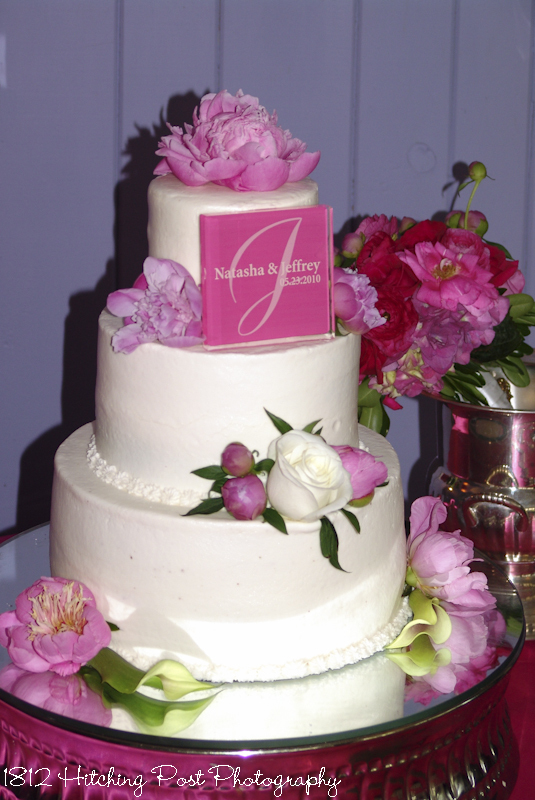 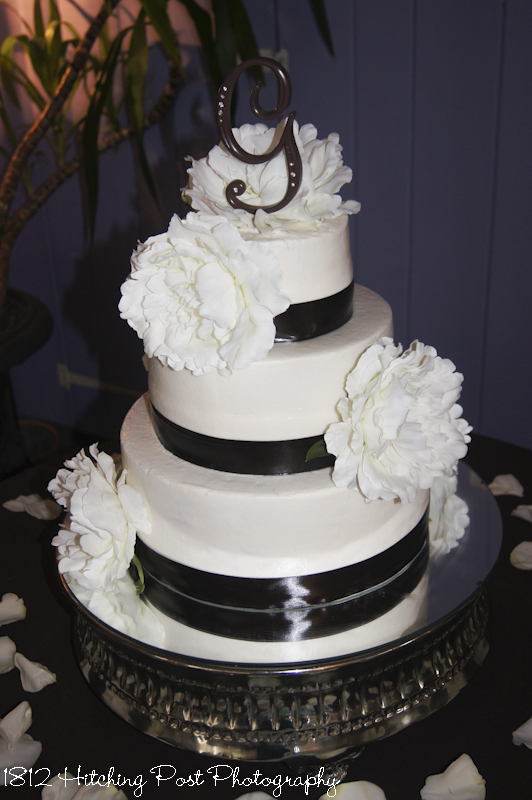 Beautiful and delicious wedding cakes from the 1812 Hitching Post decorated by artist, Patrick Waldron! 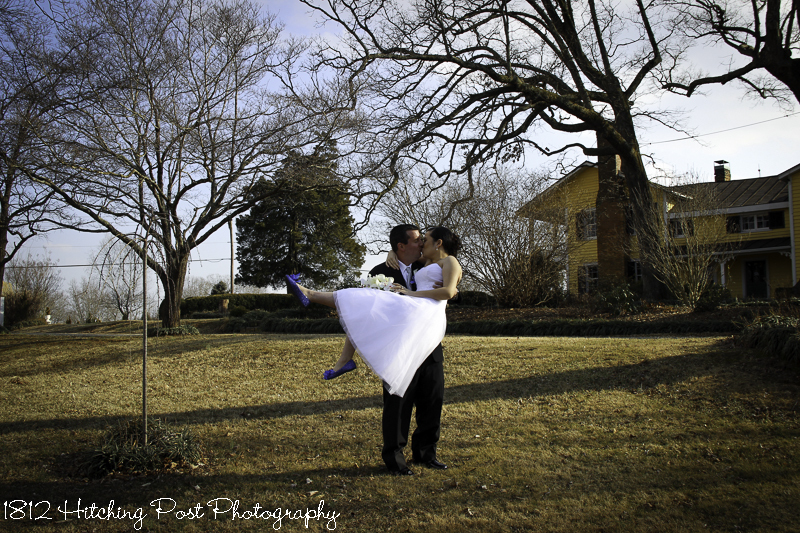 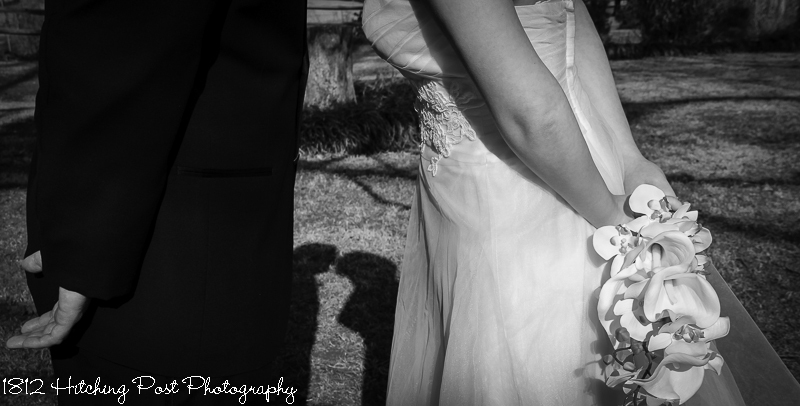 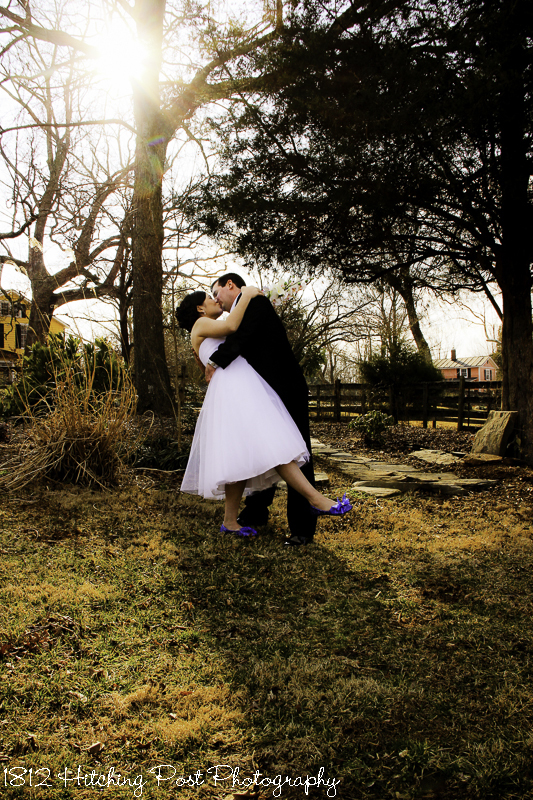 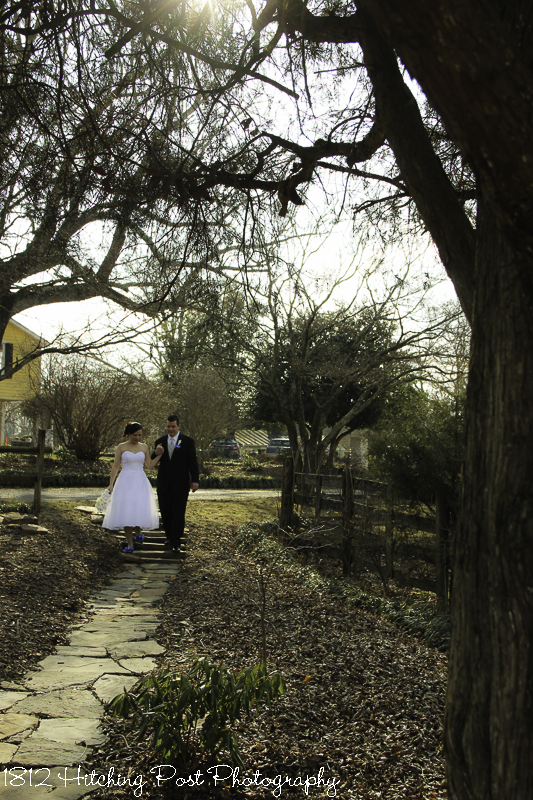 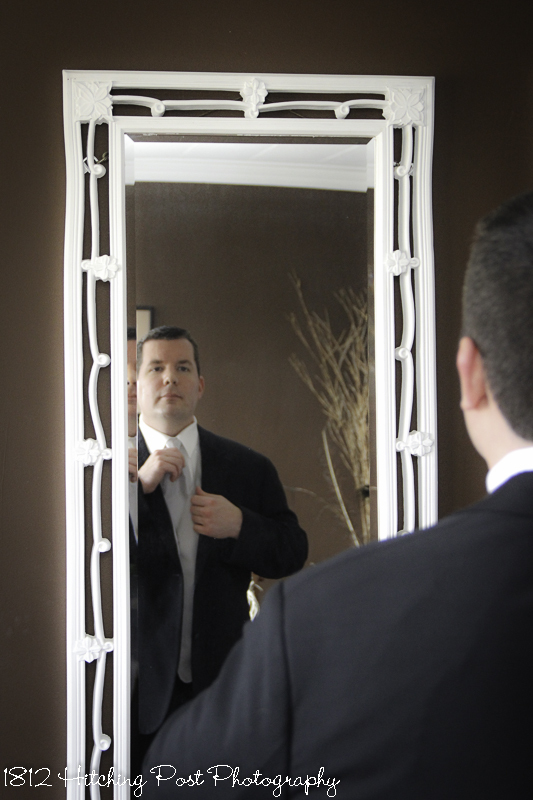 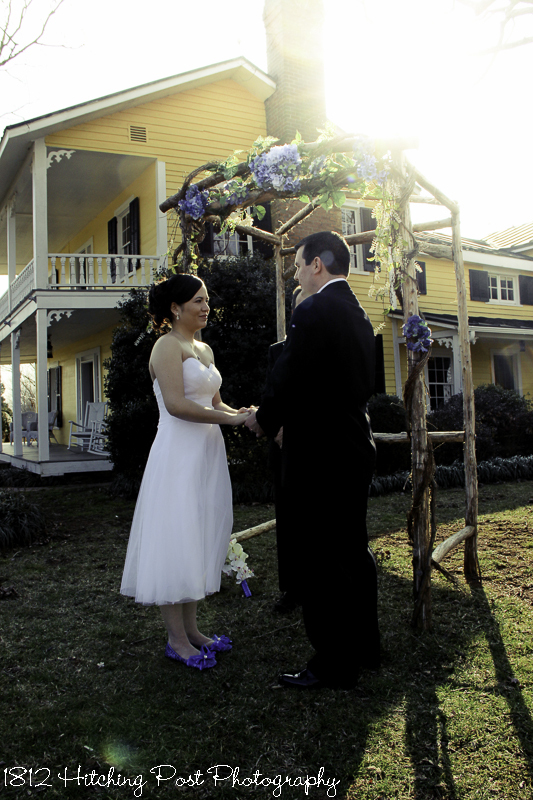 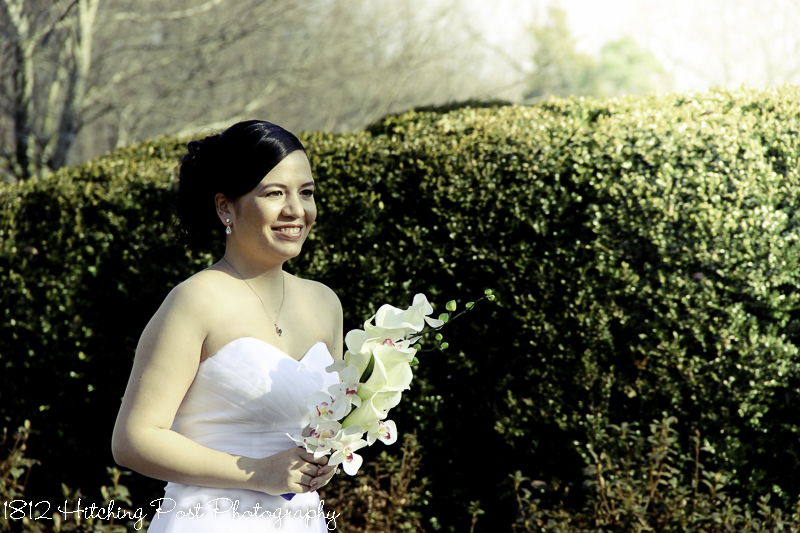 February can often be warm enough for an outdoor wedding. 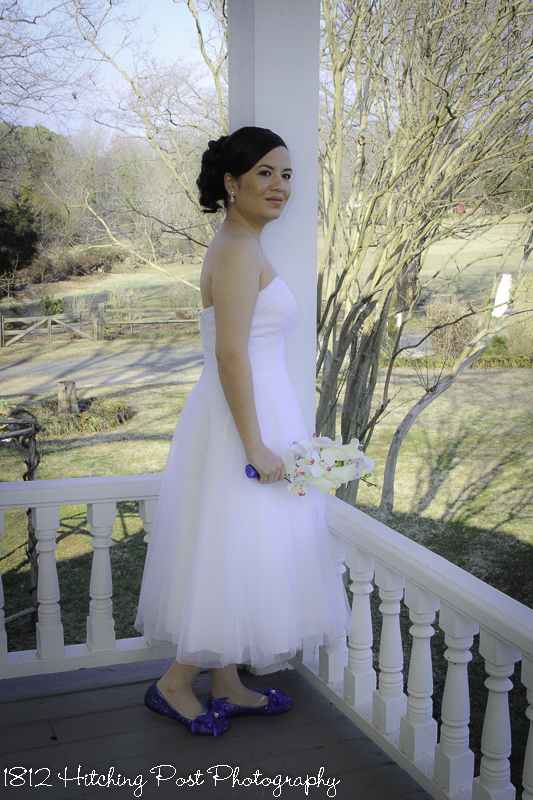 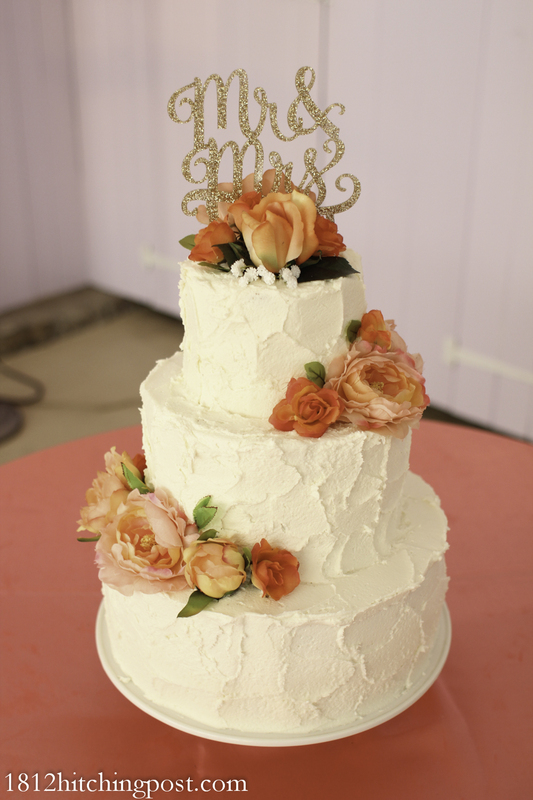 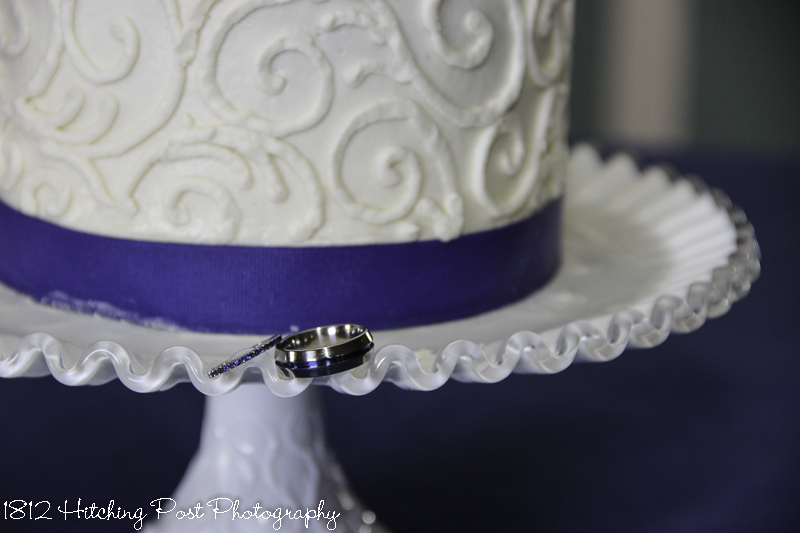 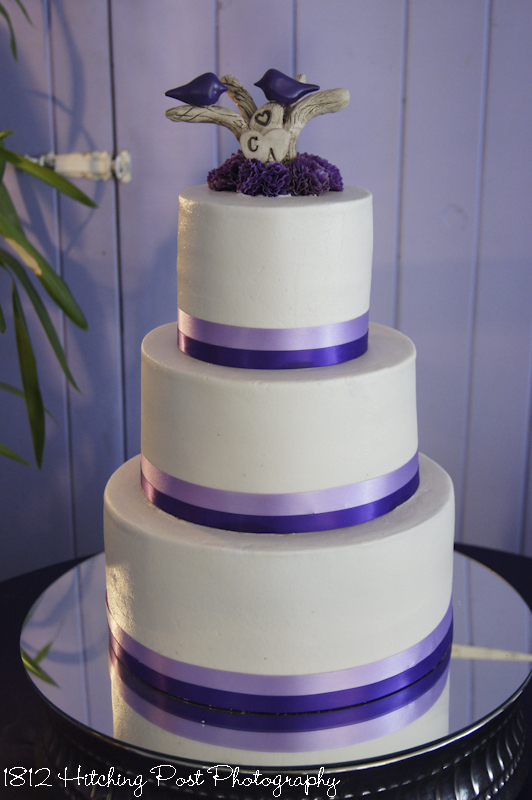 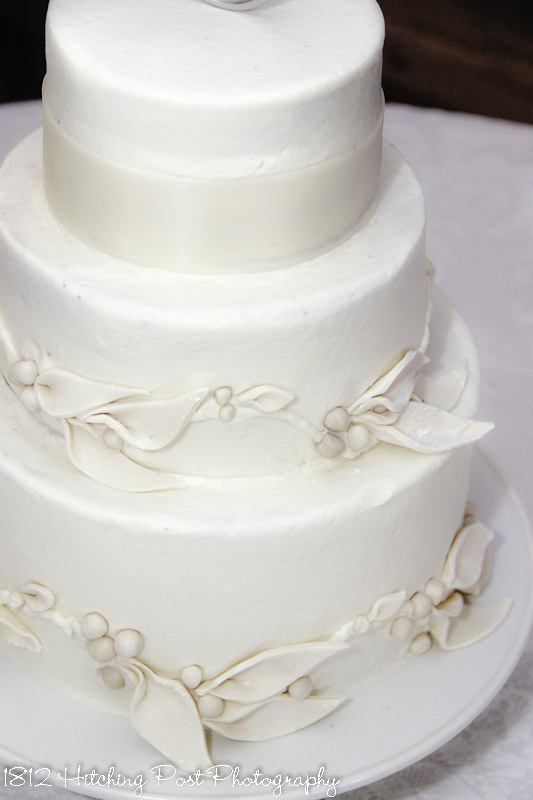 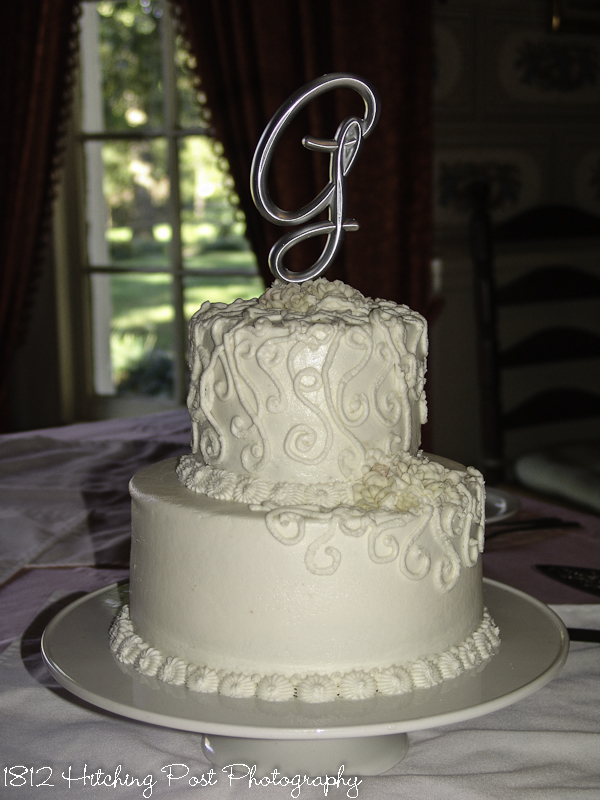 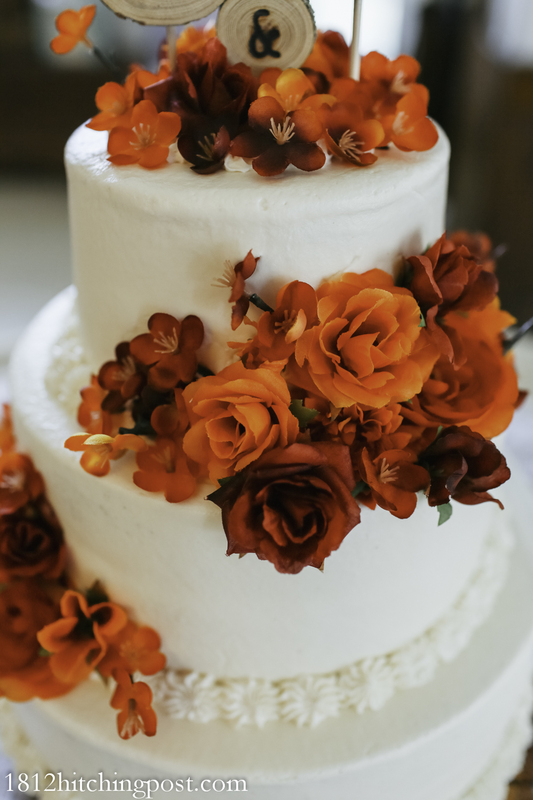 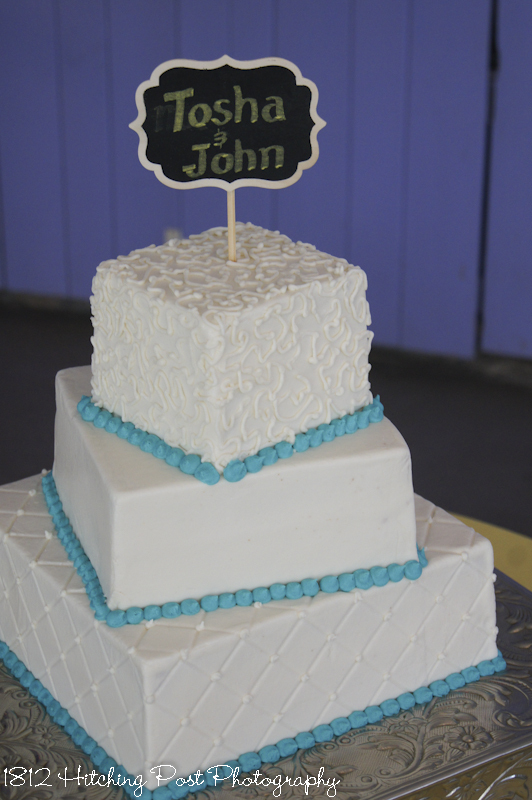 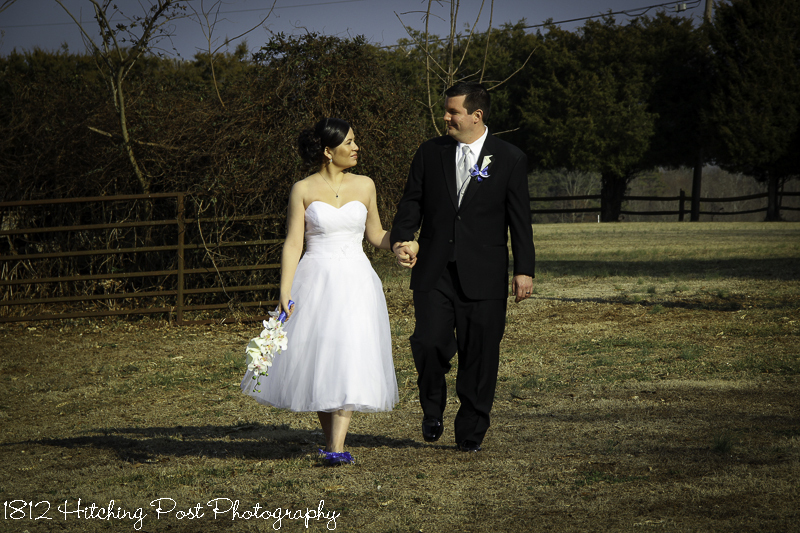 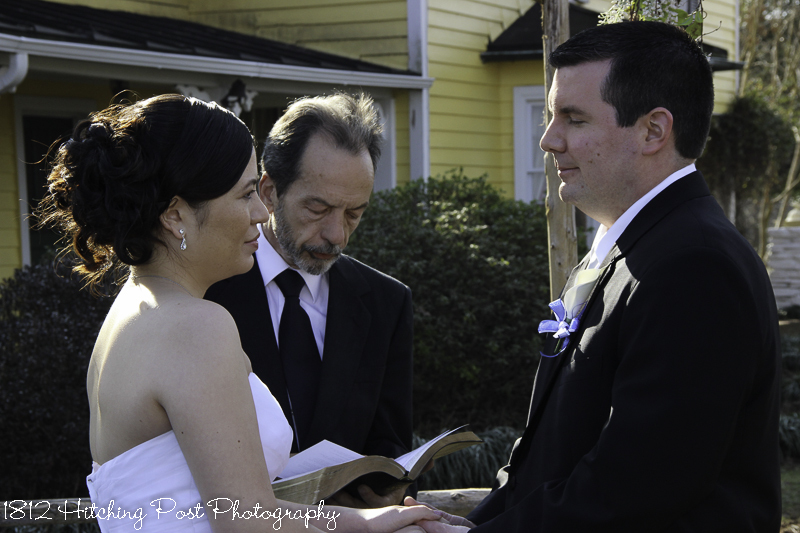 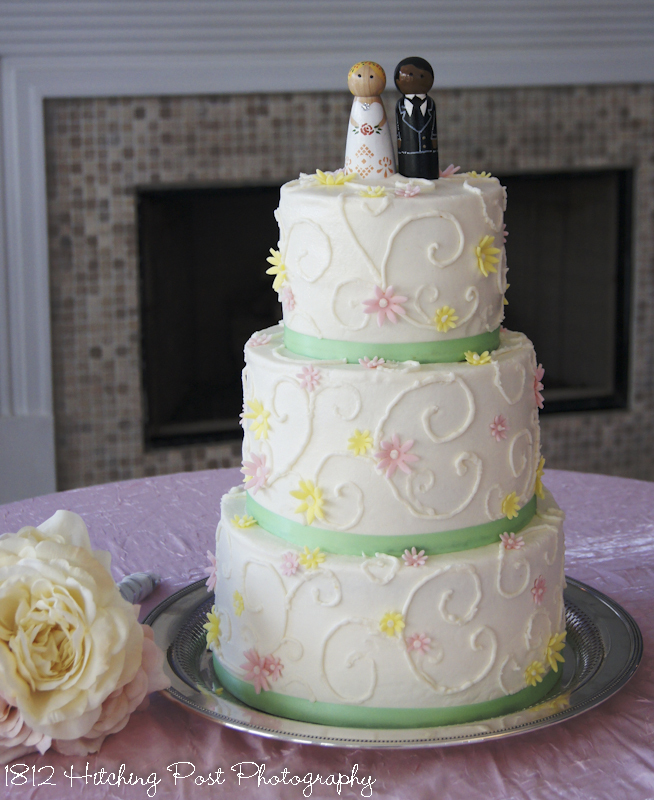 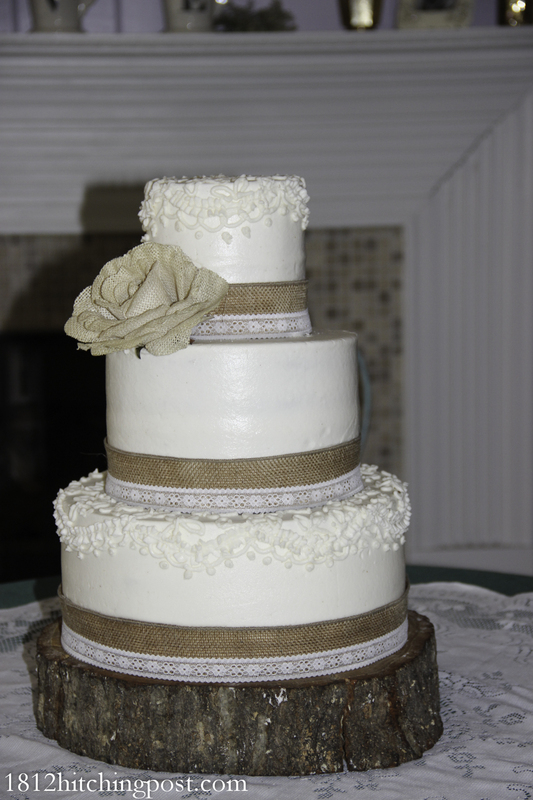 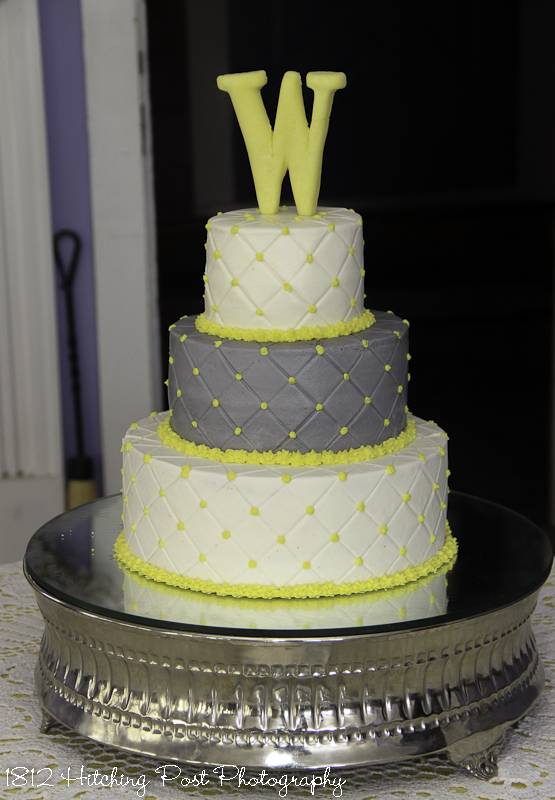 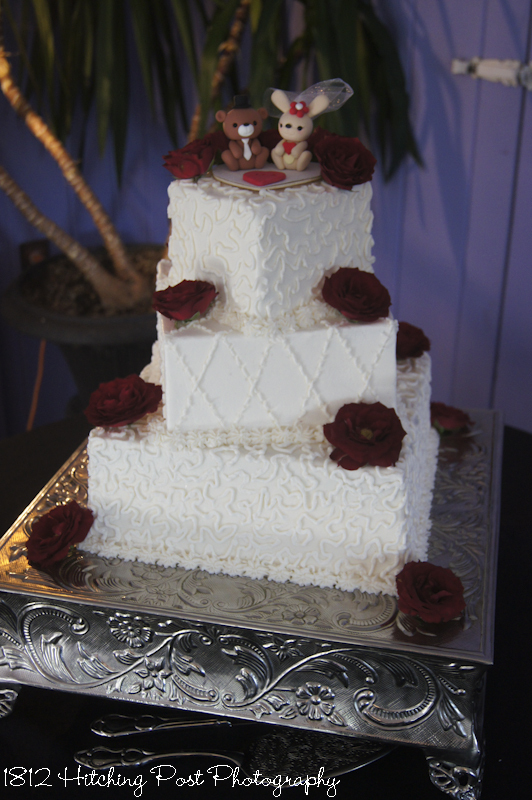 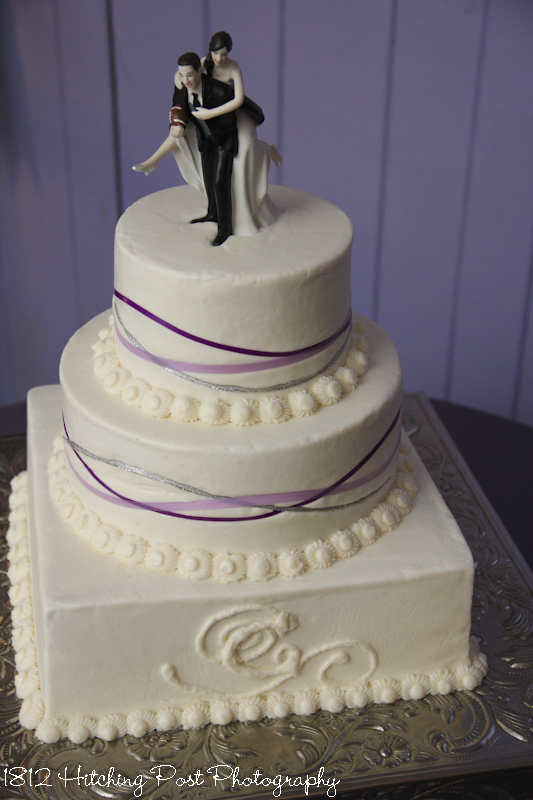 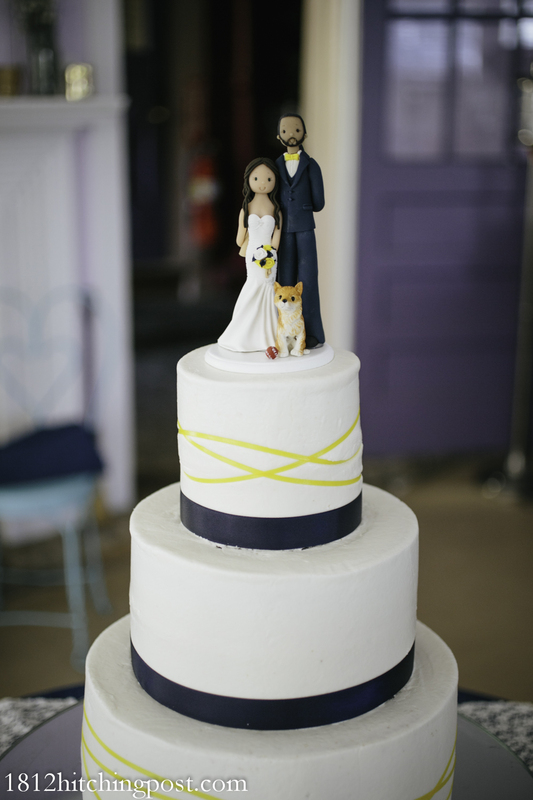 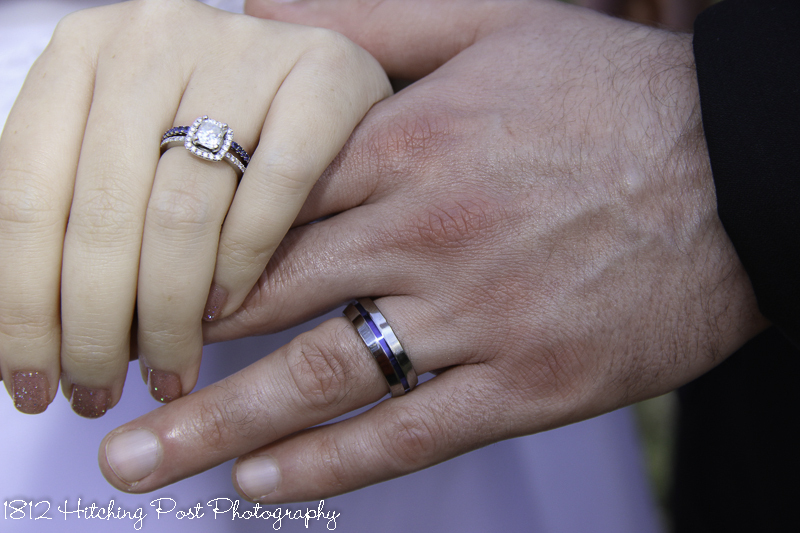 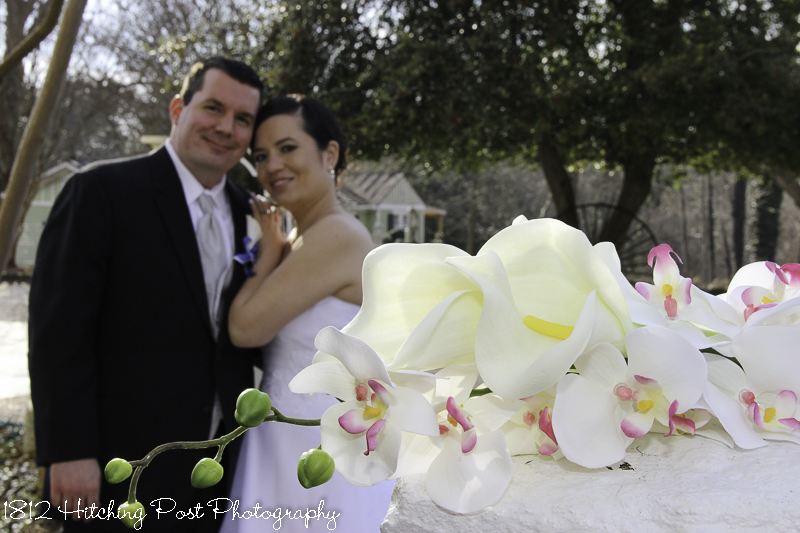 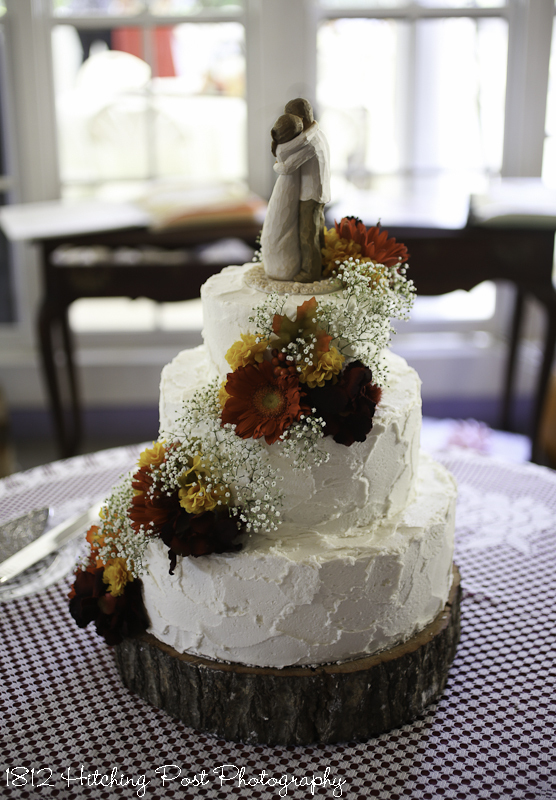 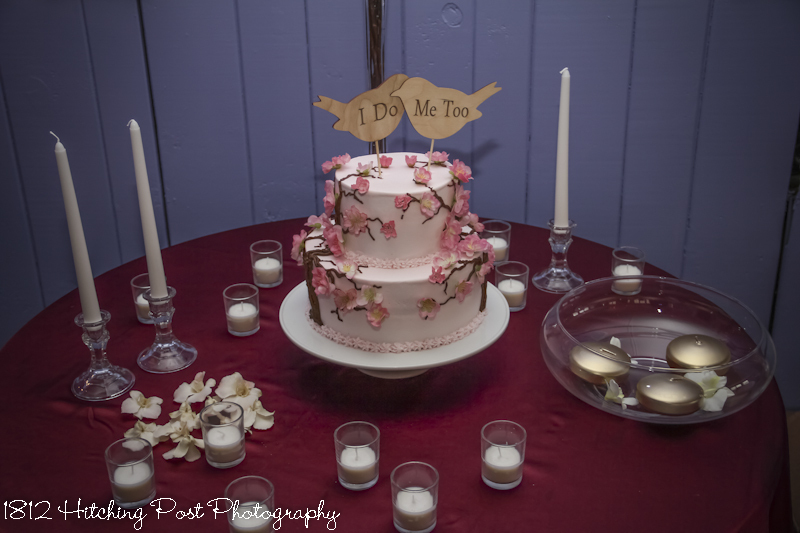 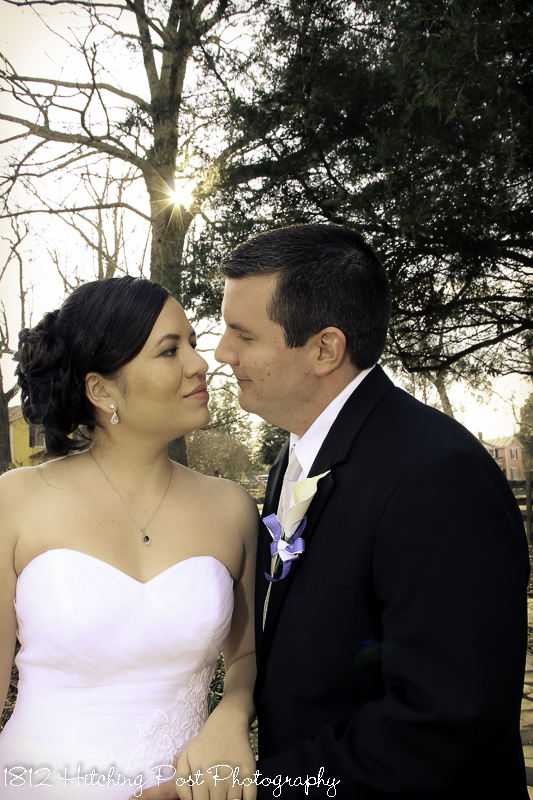 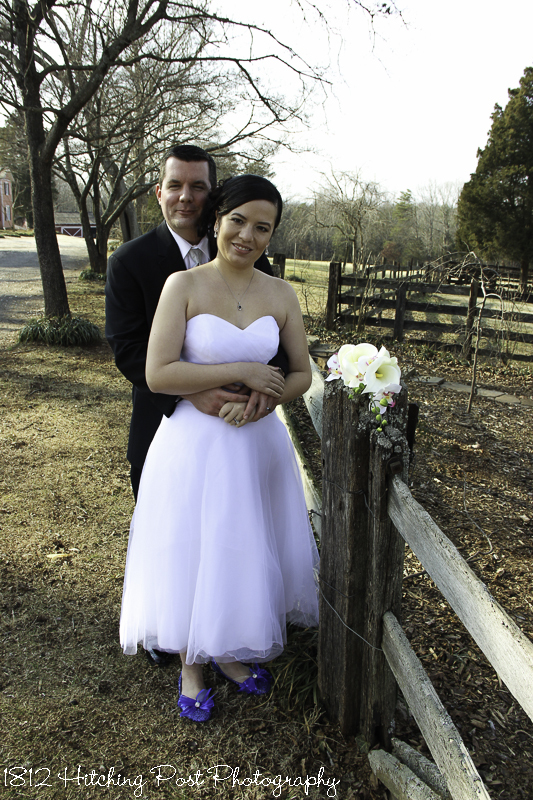 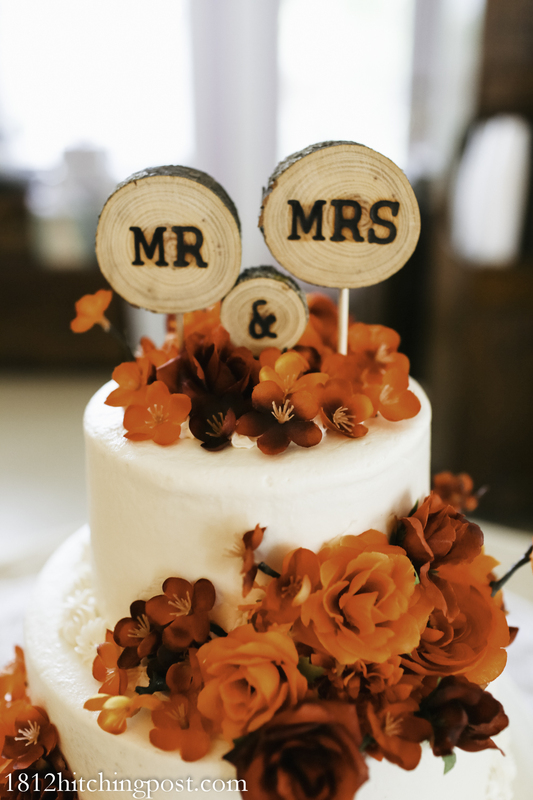 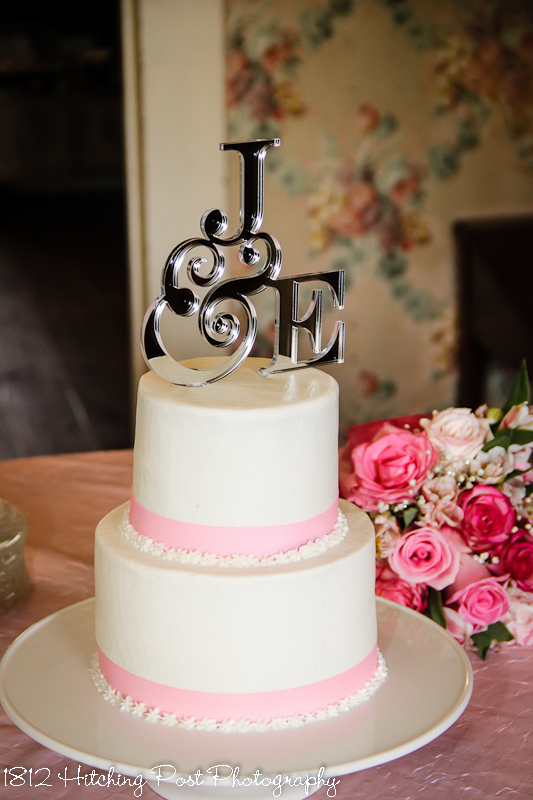 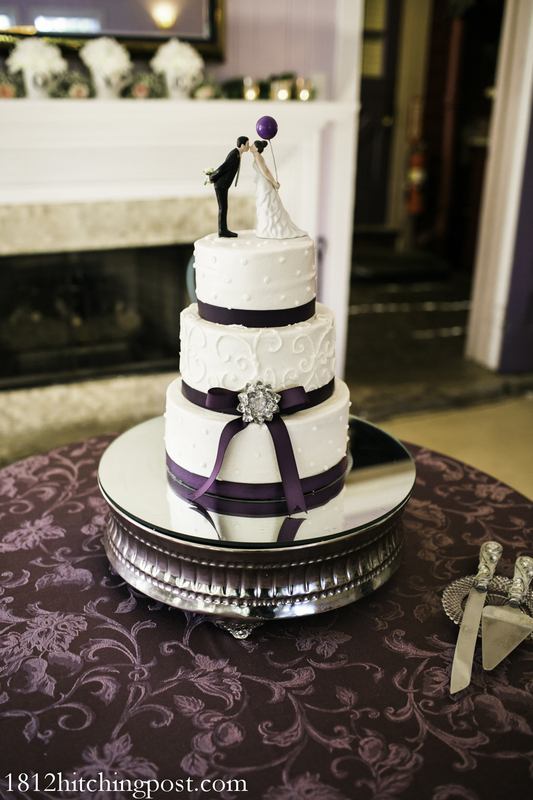 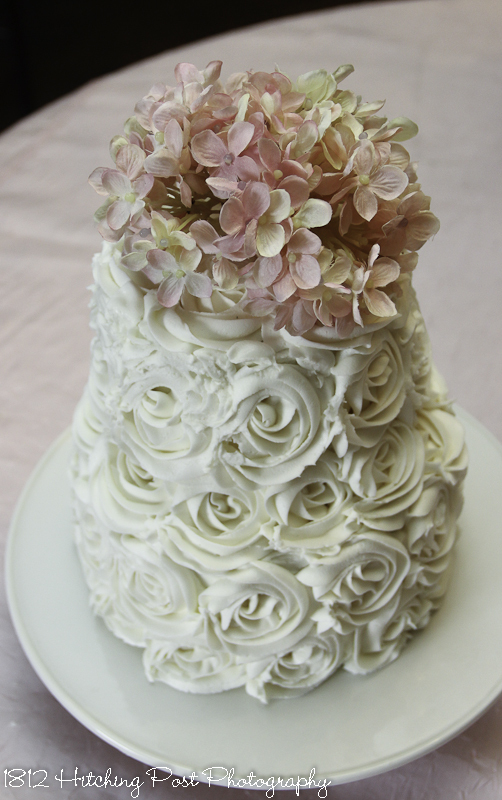 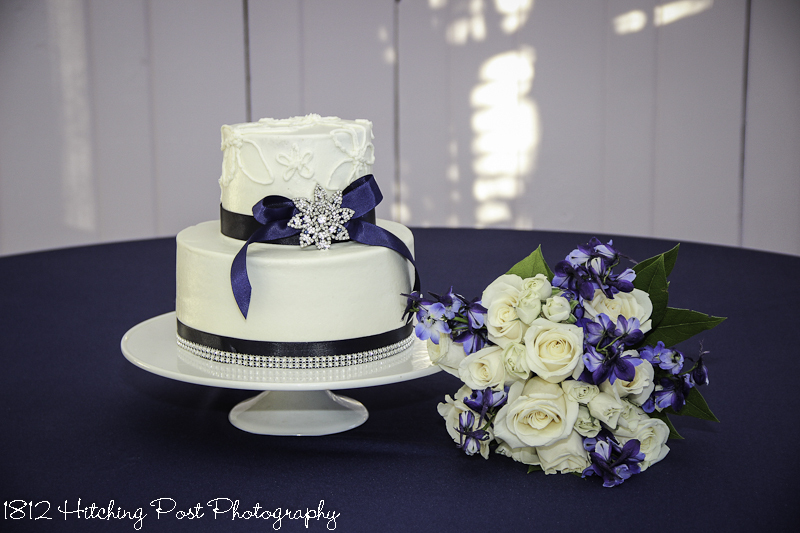 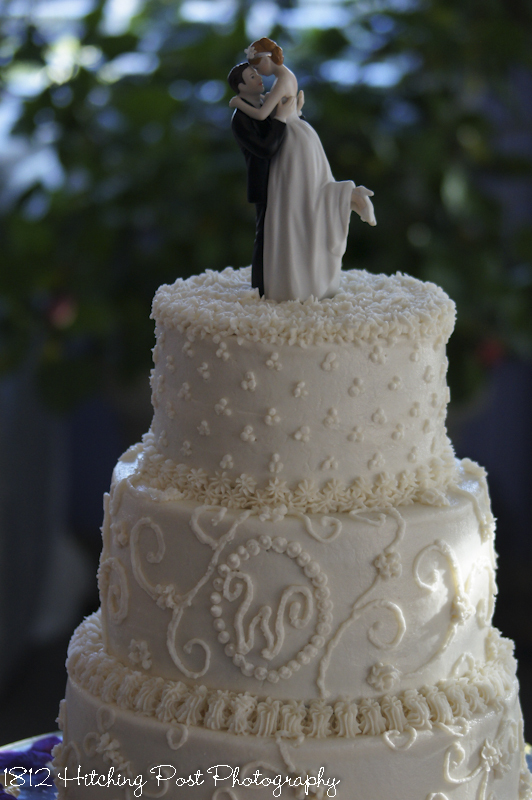 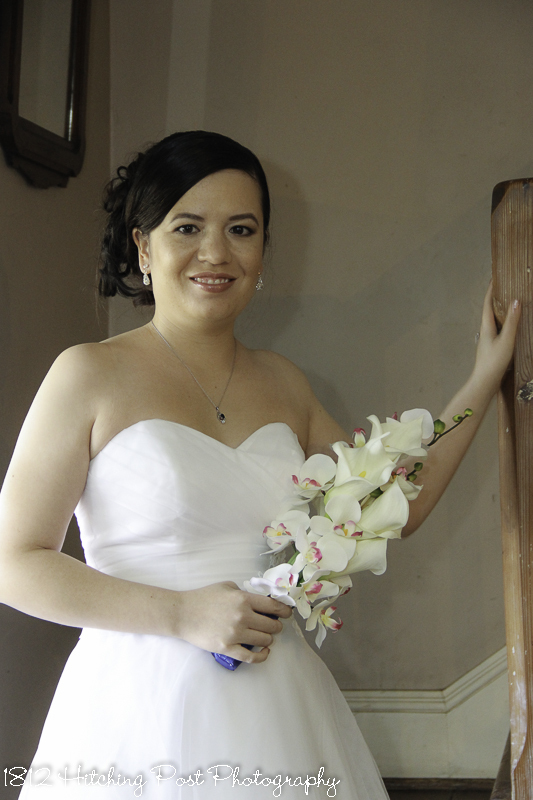 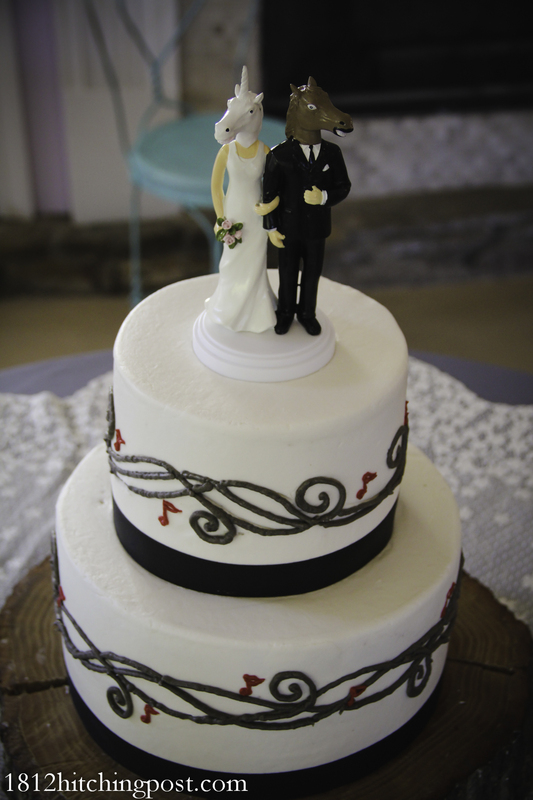 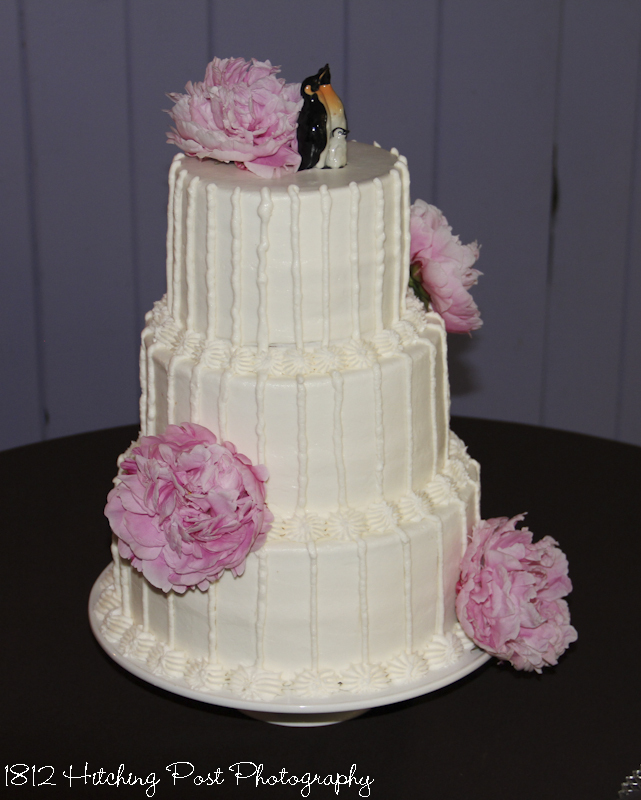 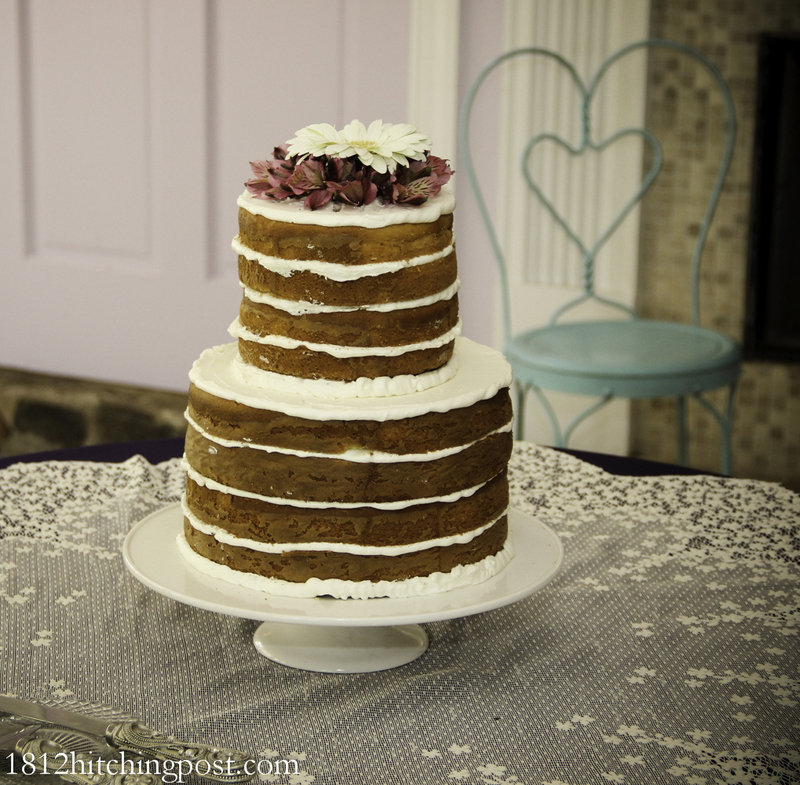 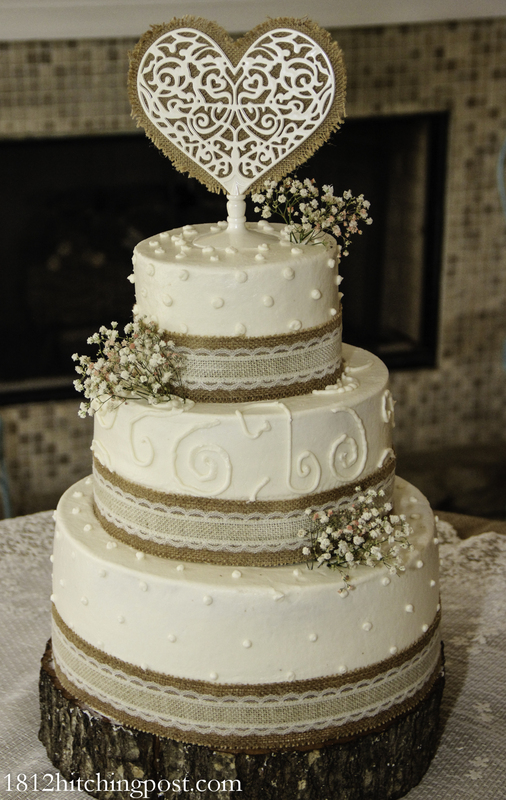 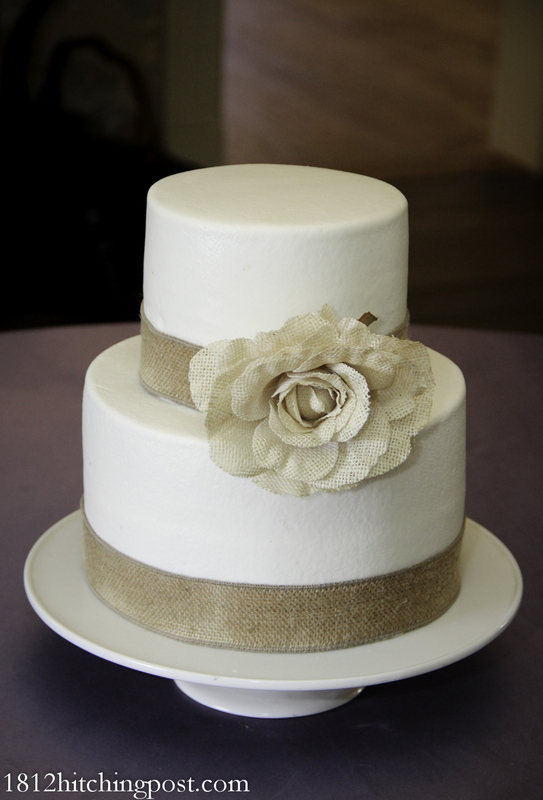 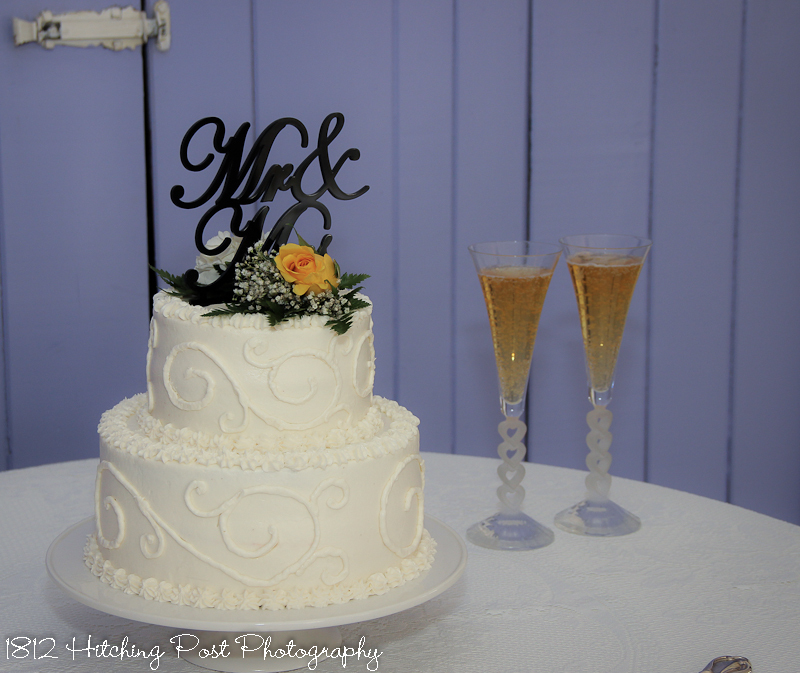 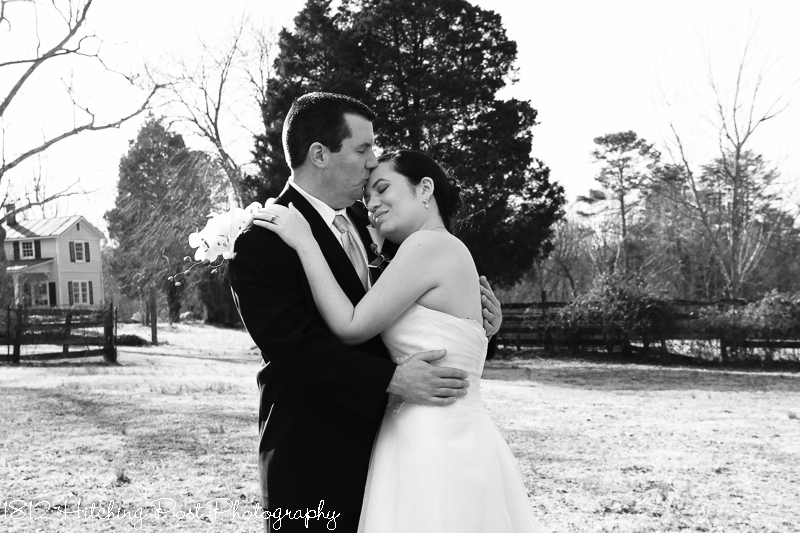 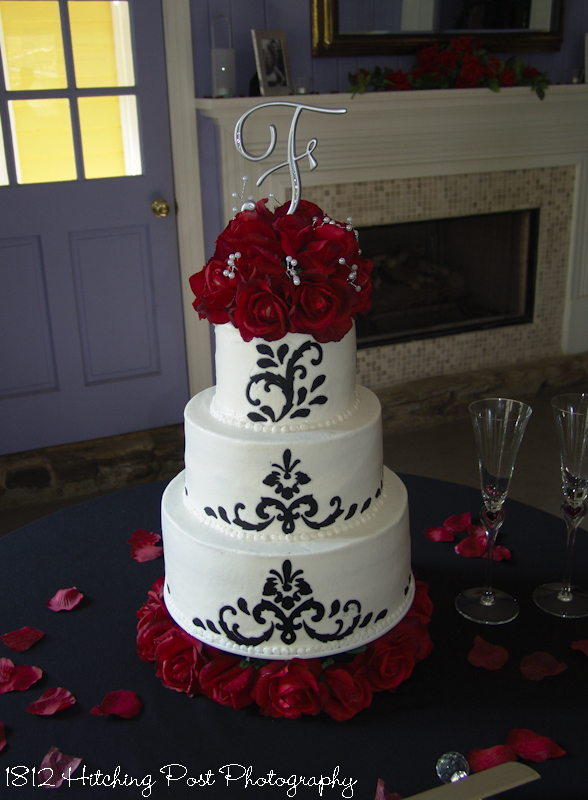 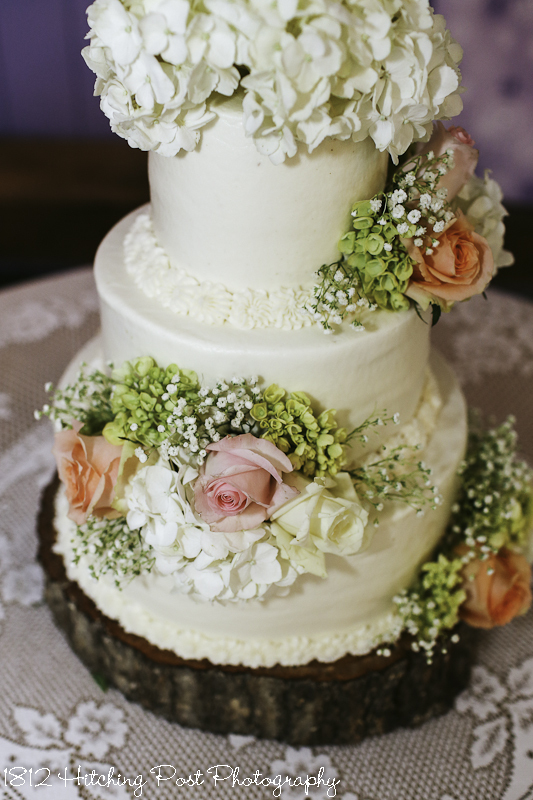 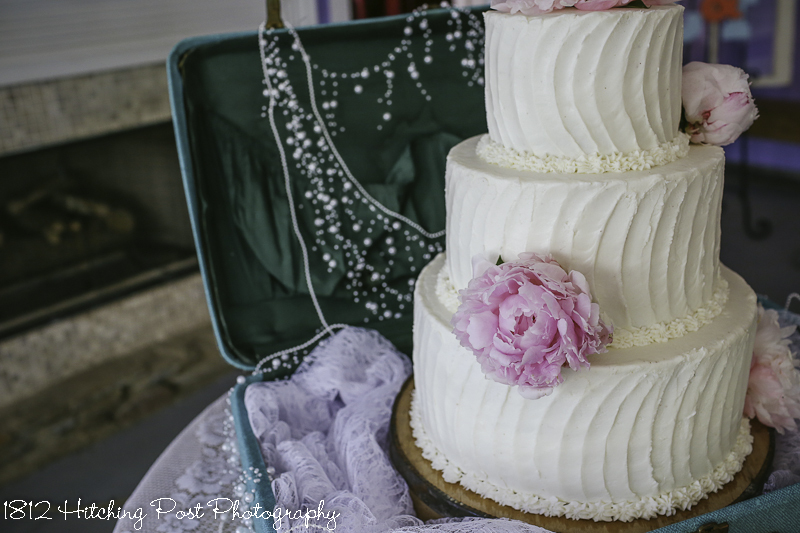 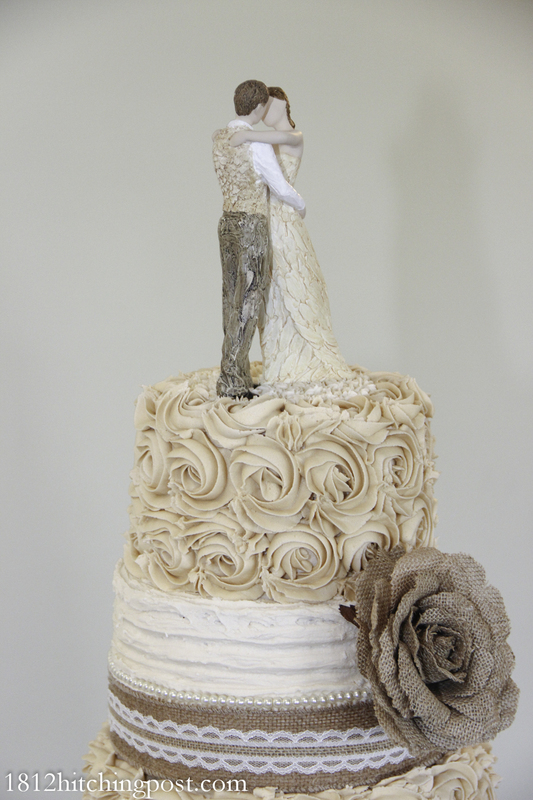 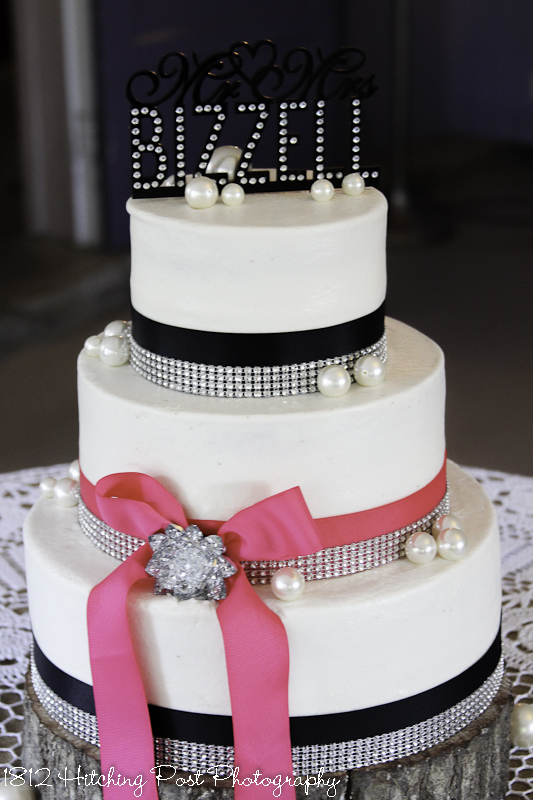 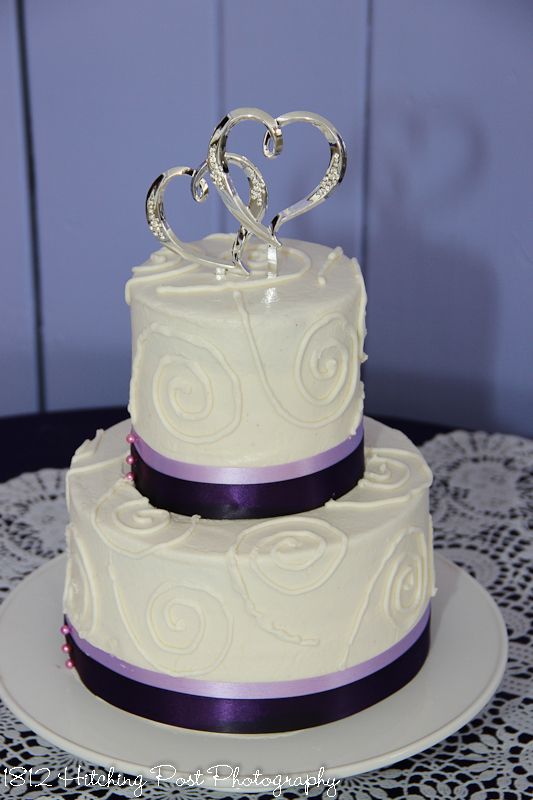 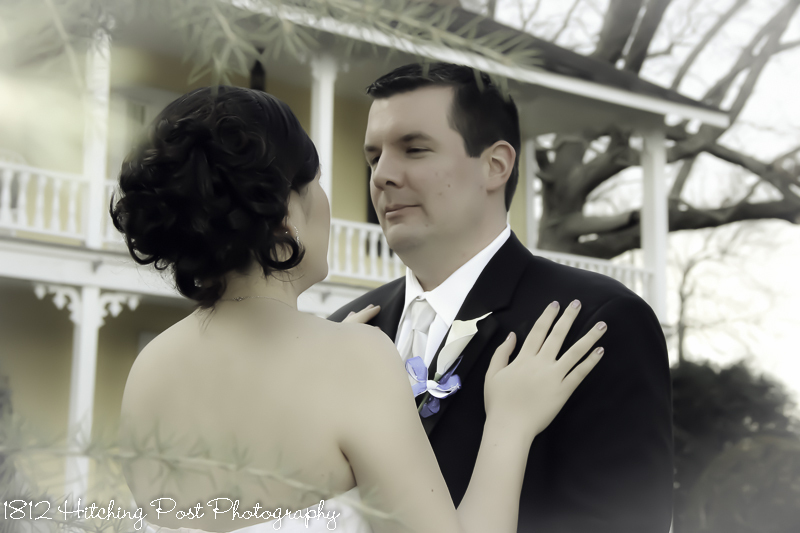 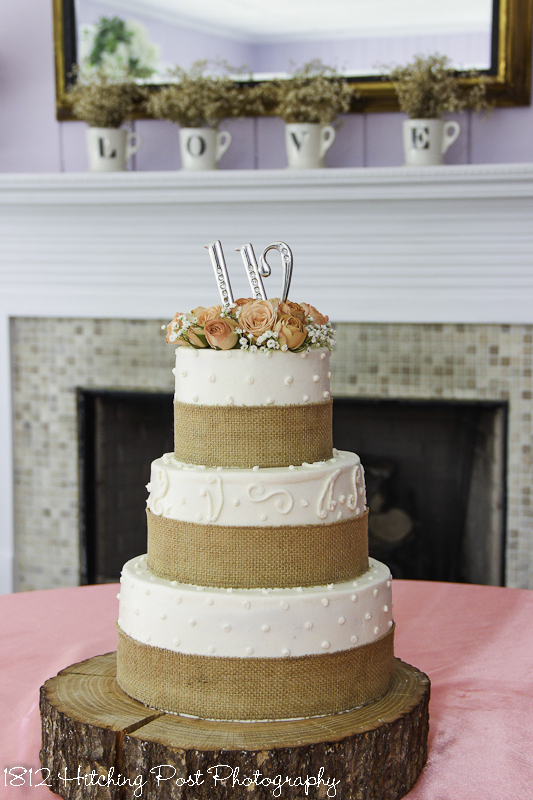 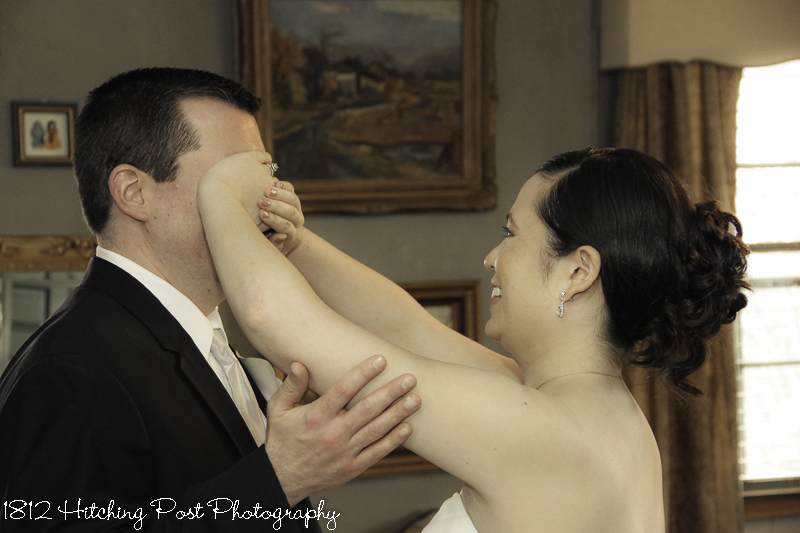 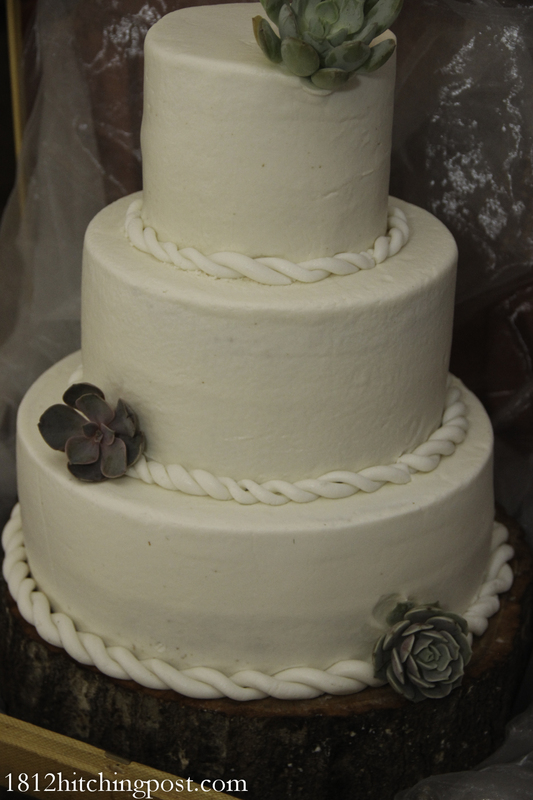 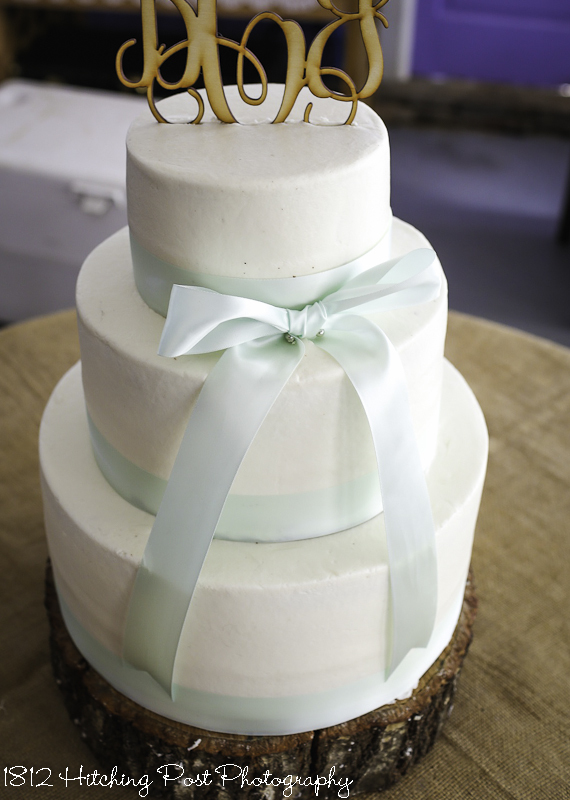 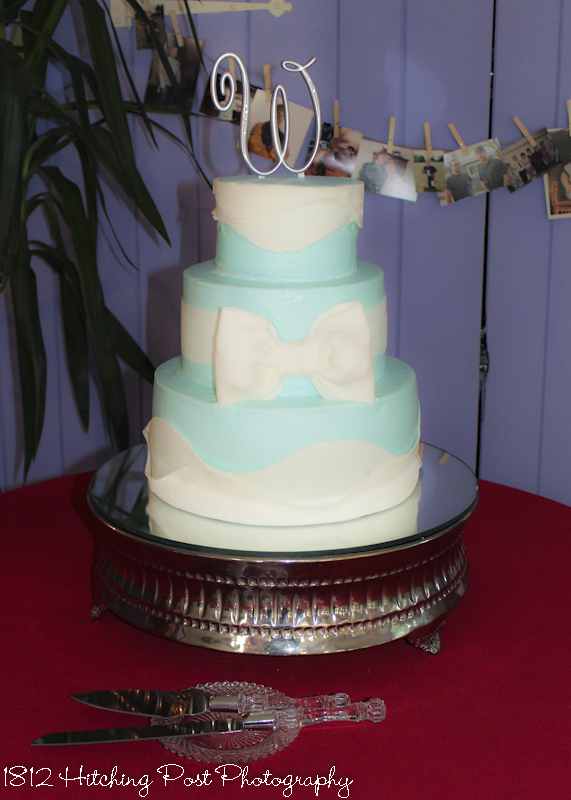 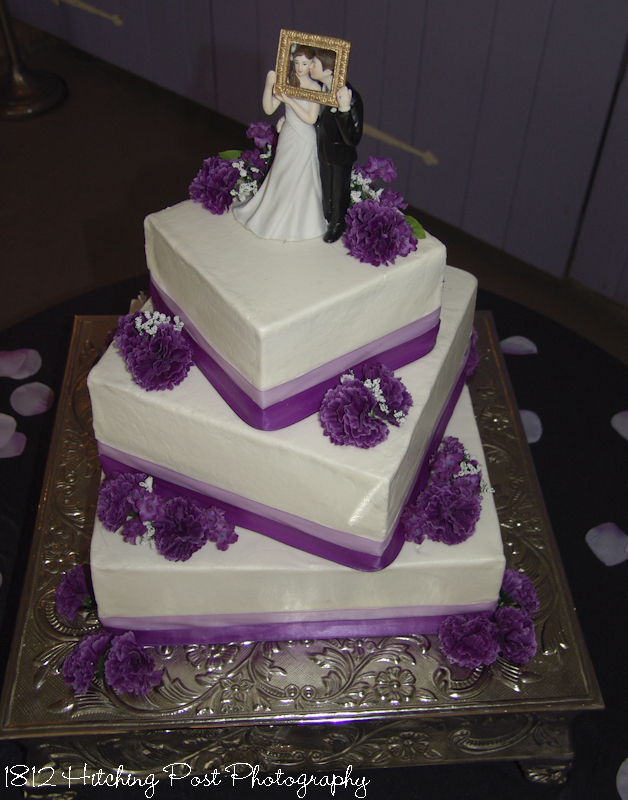 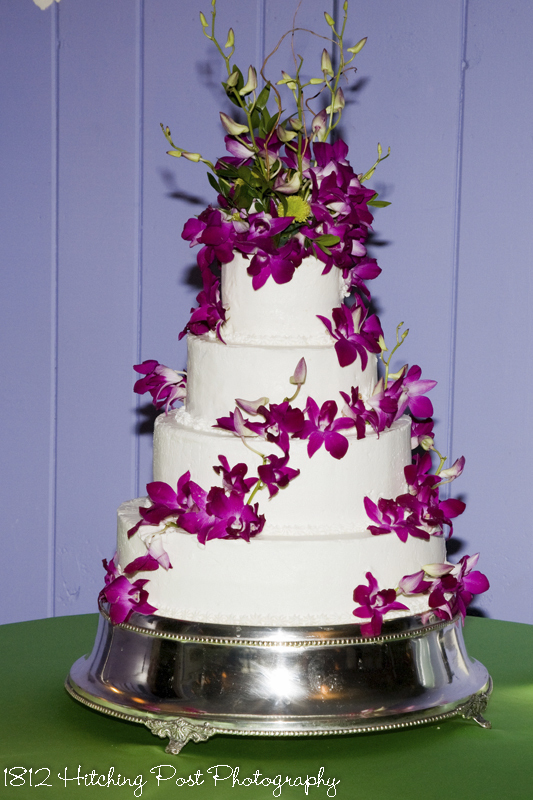 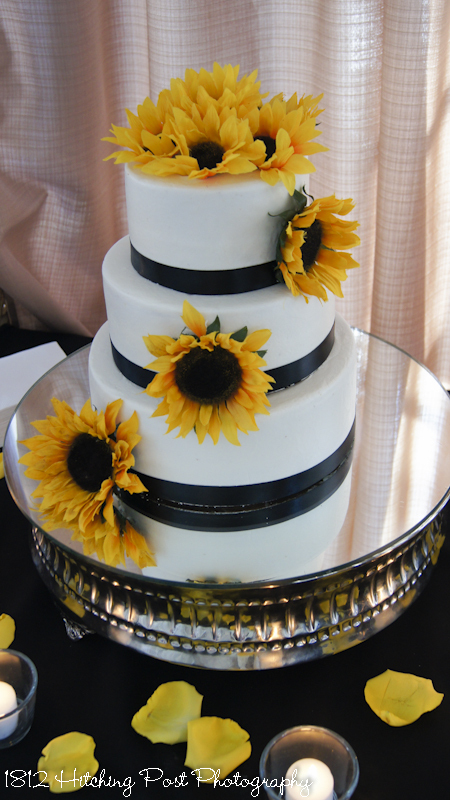 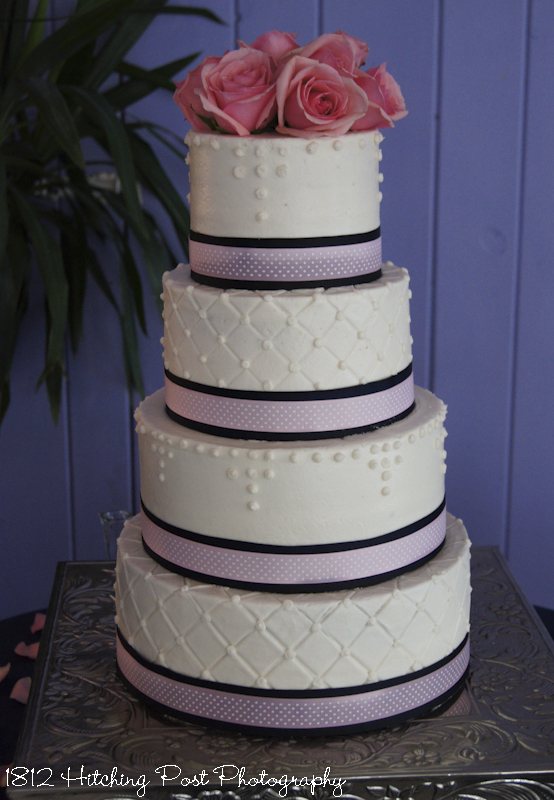 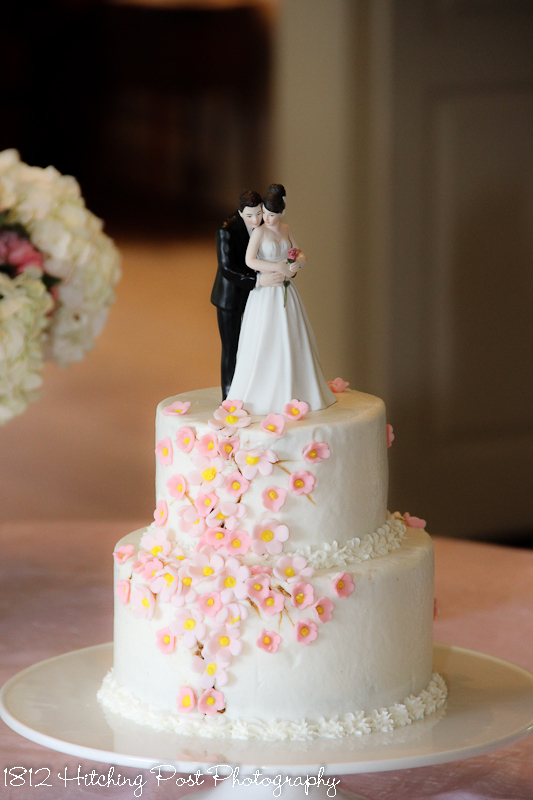 Stephanie and Jeffrey had a Traditional elopement with mini cake added. 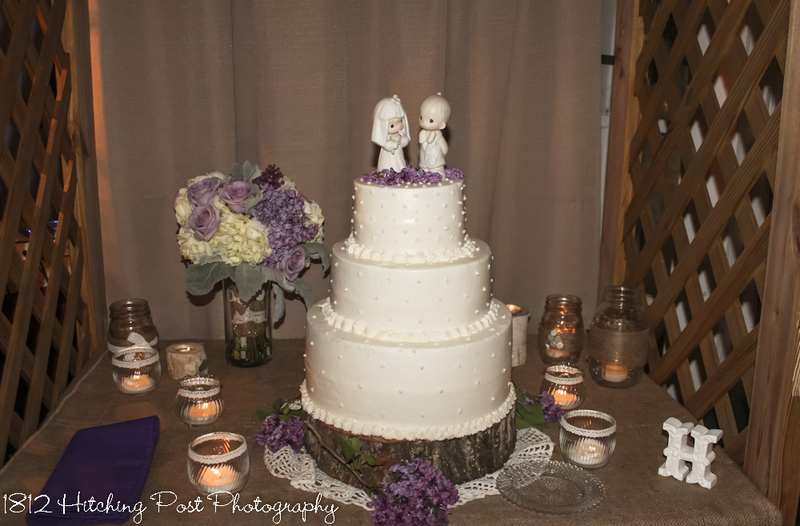 Their wedding was so romantic with just the two of them! 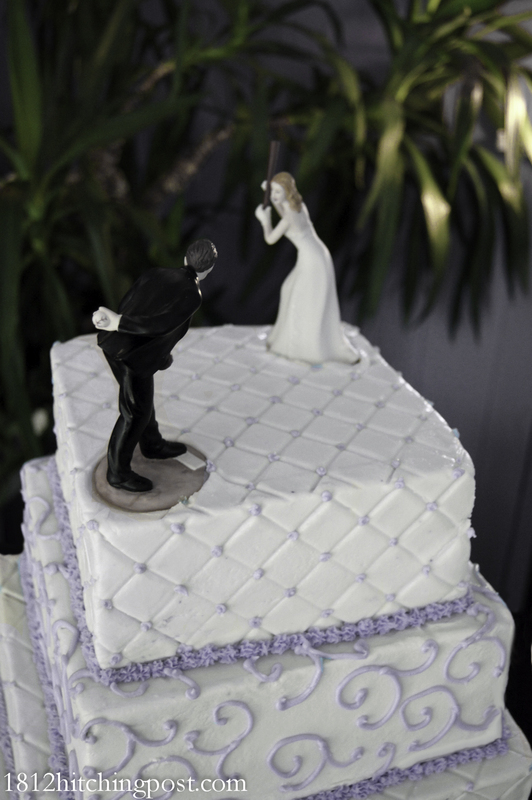 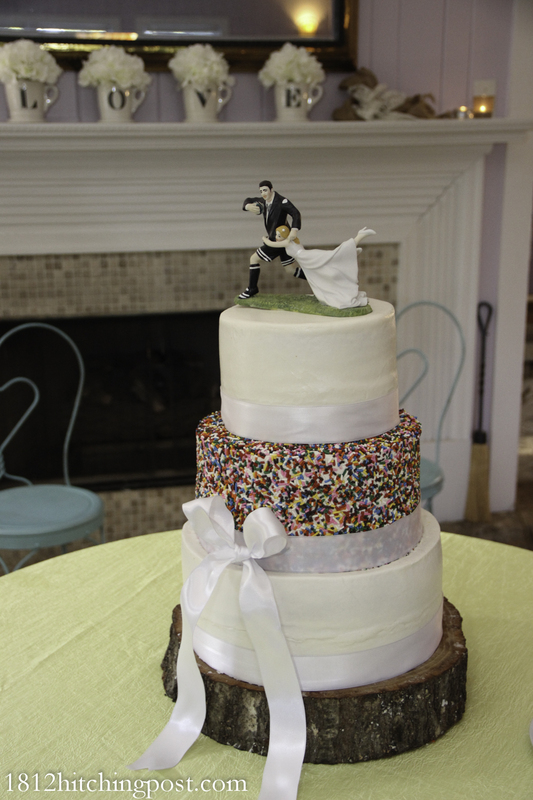 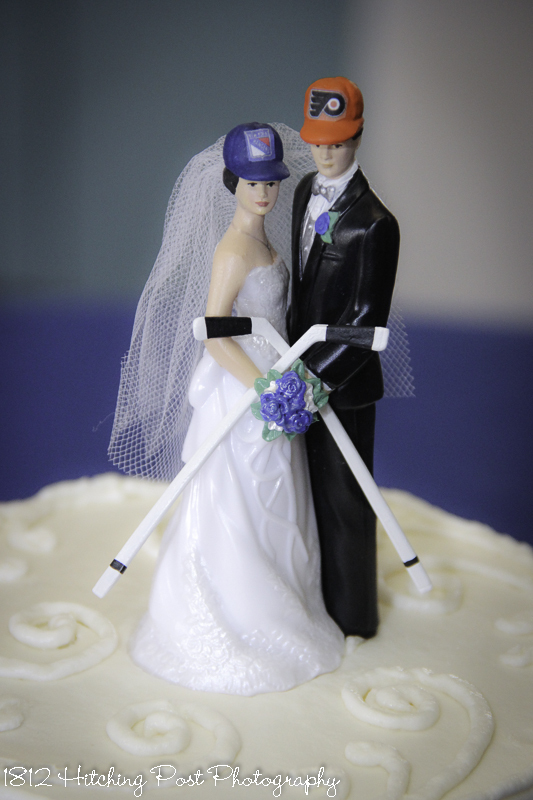 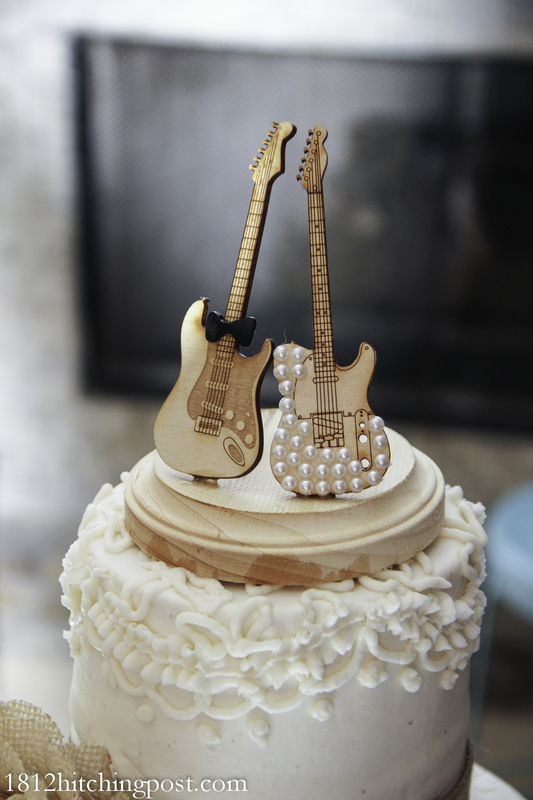 I loved their hockey player cake topper.